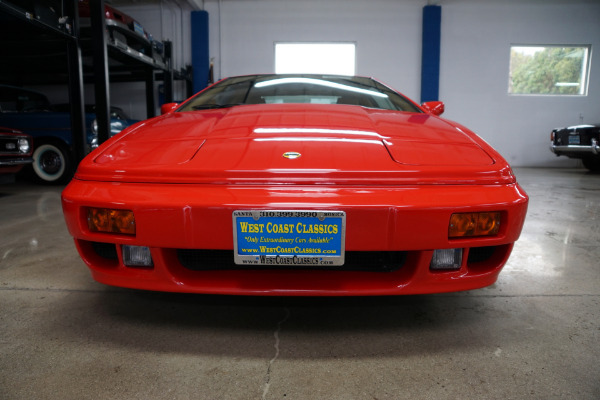 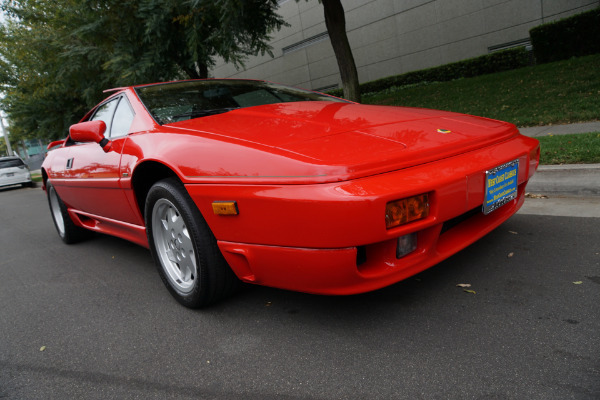 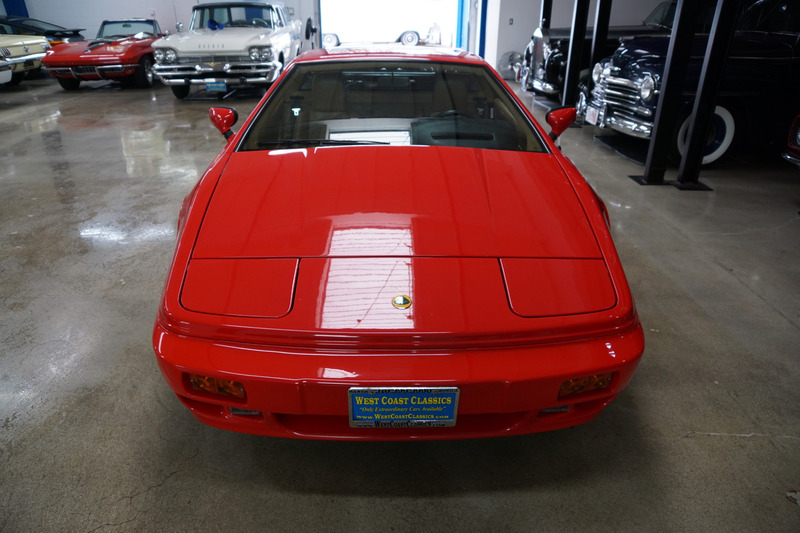 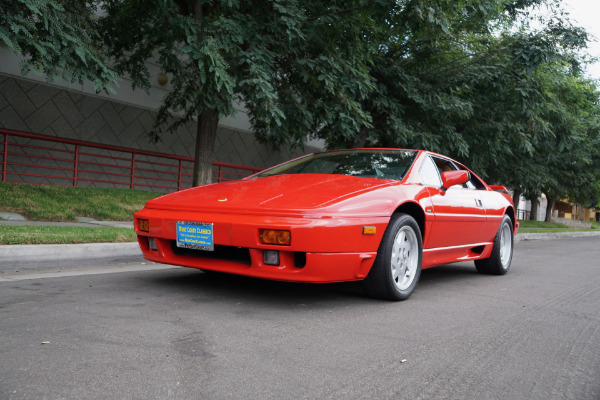 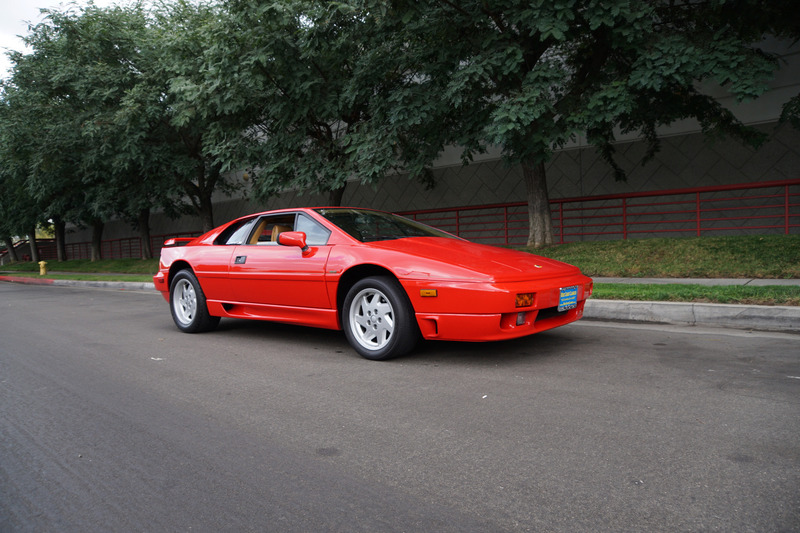 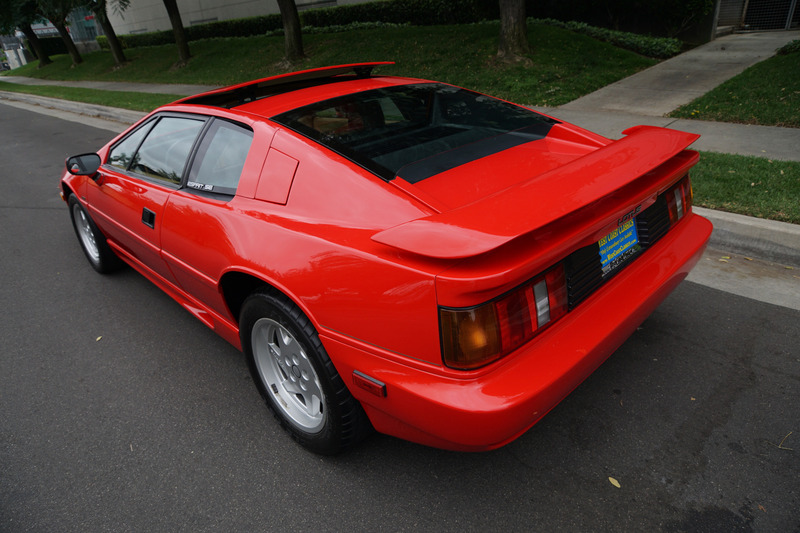 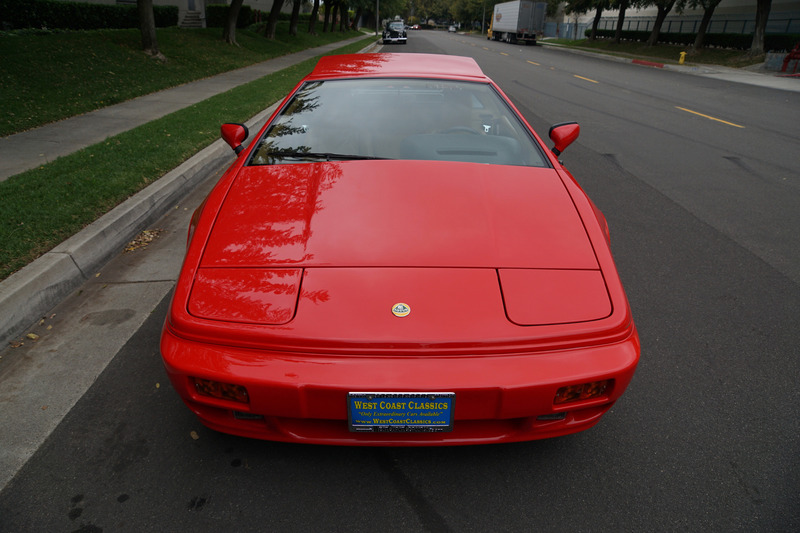 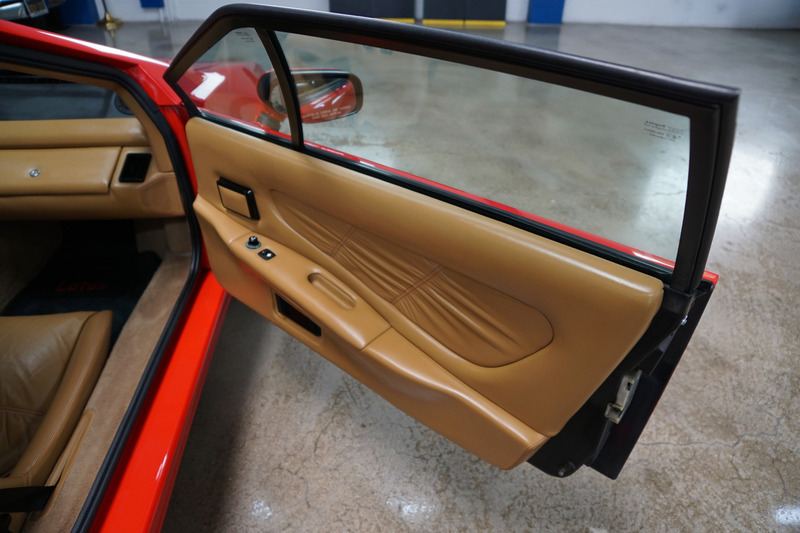 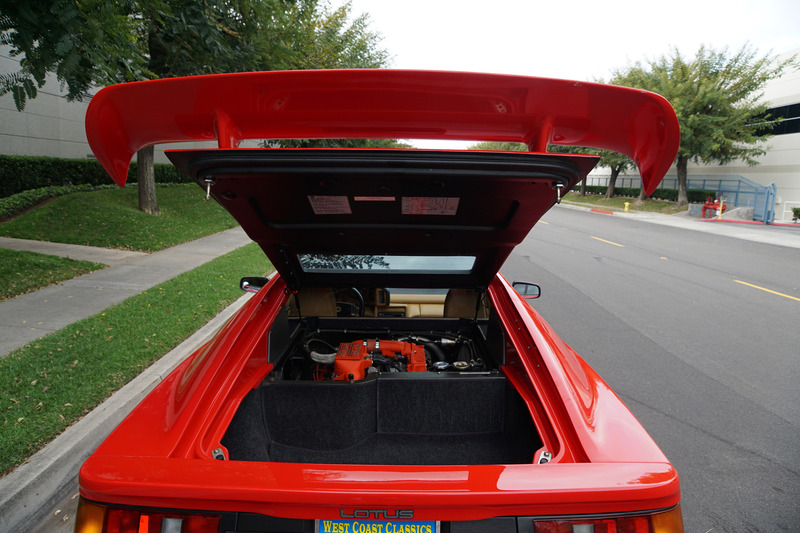 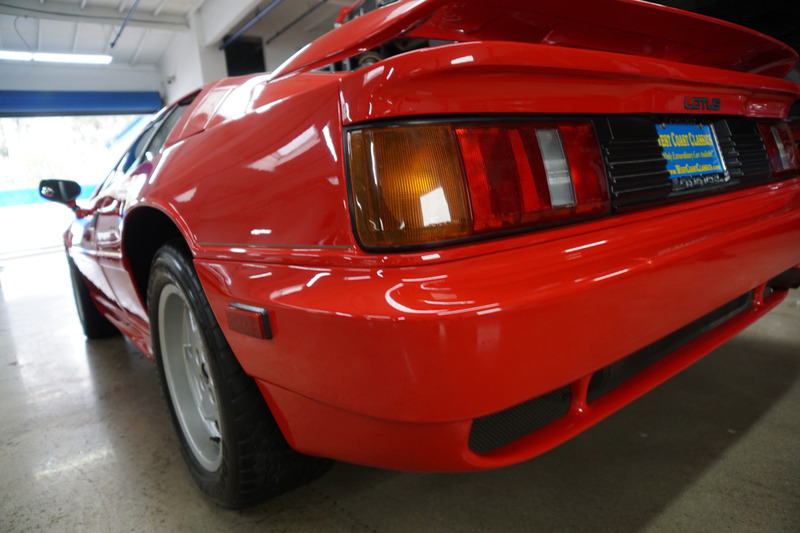 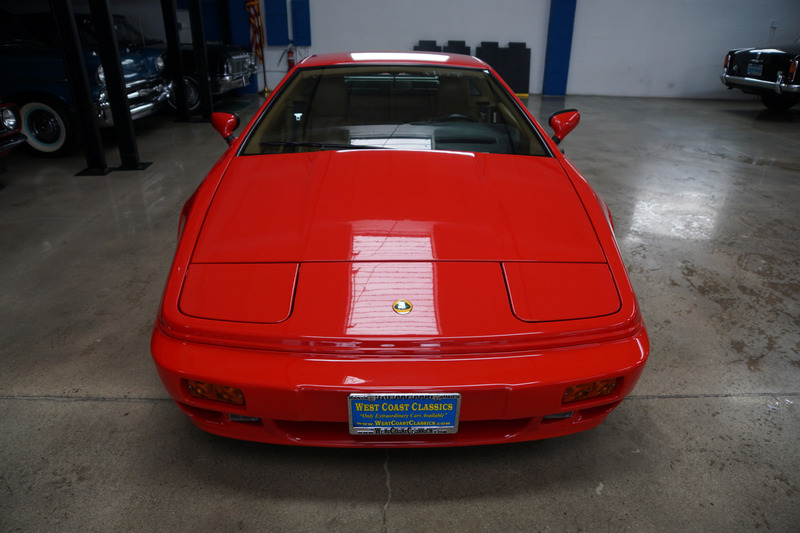 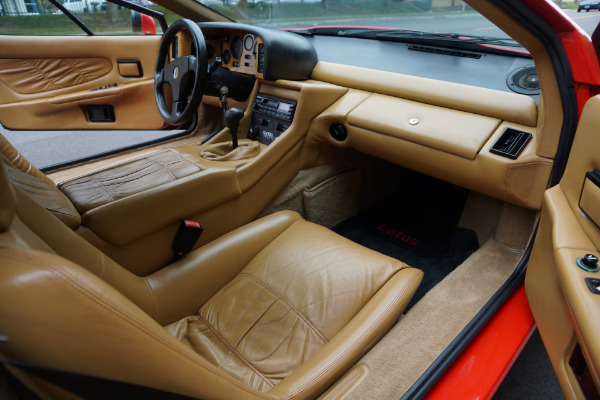 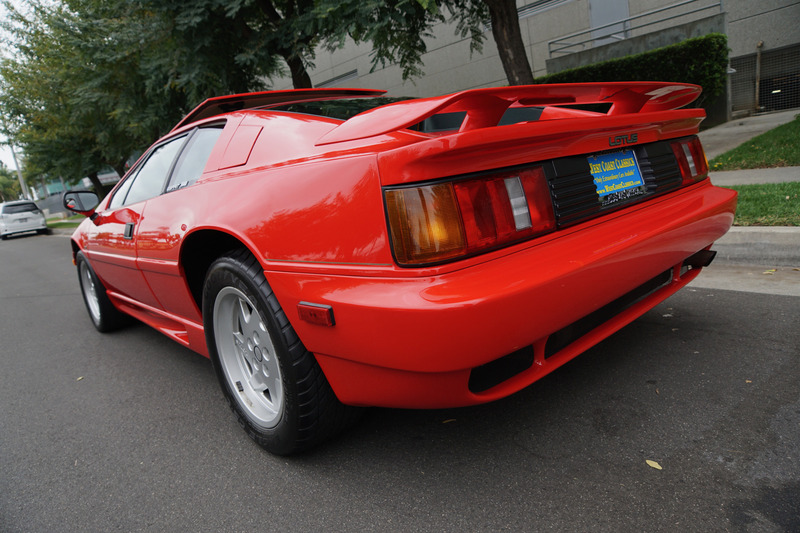 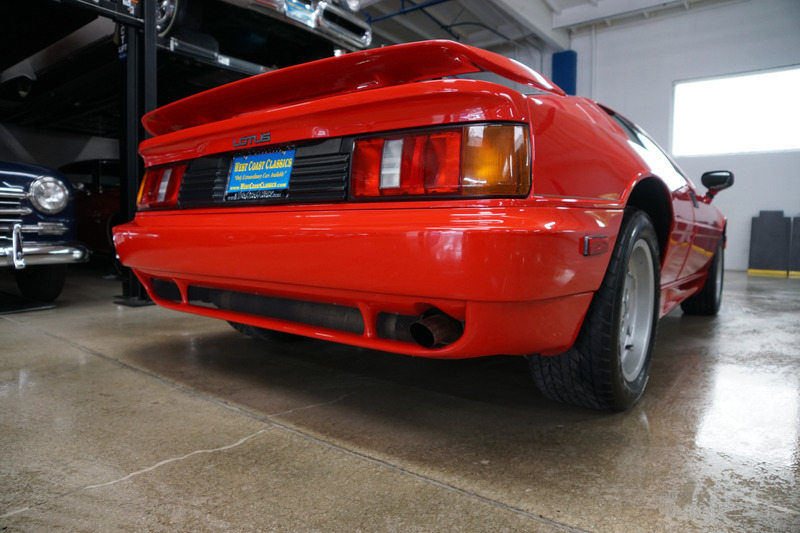 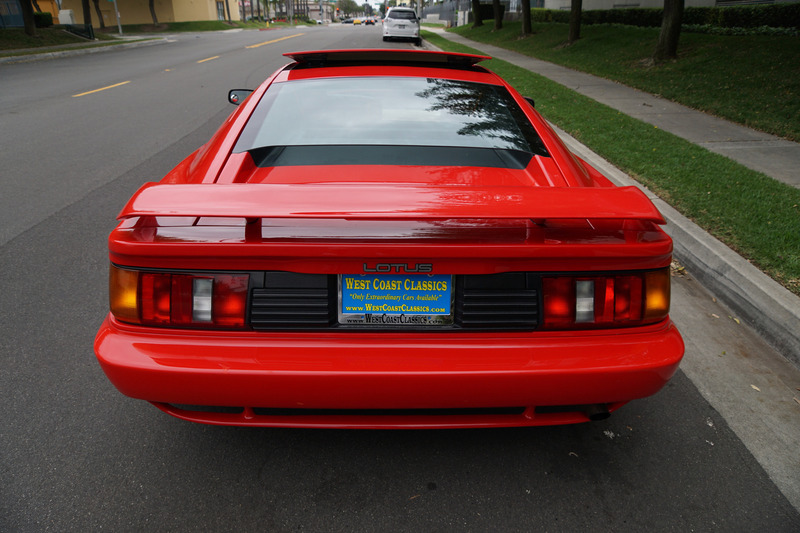 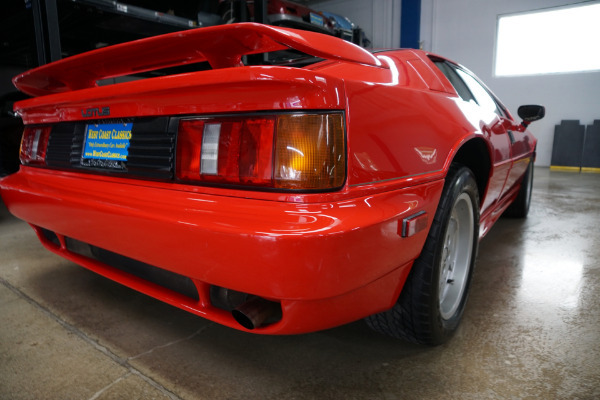 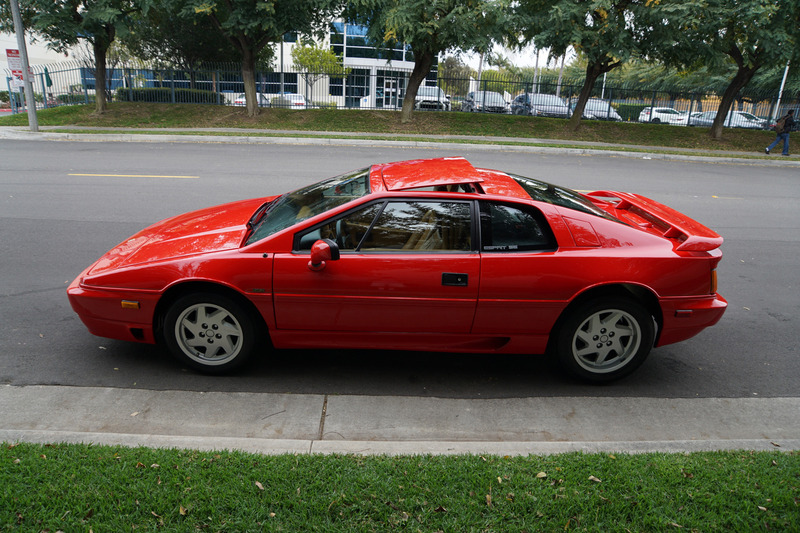 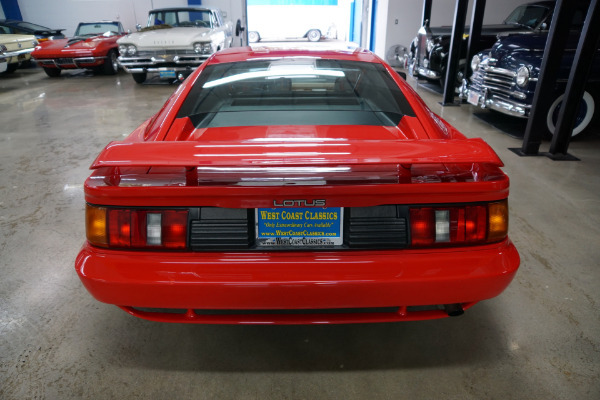 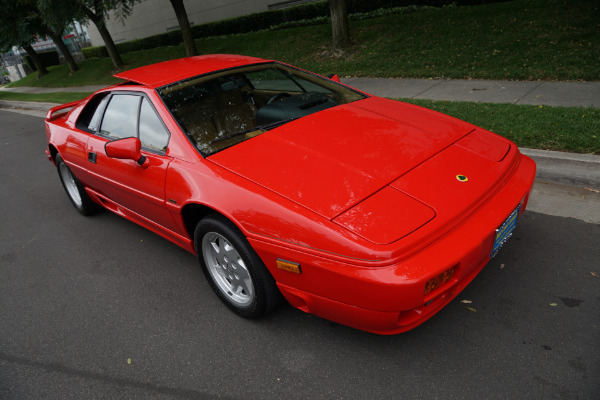 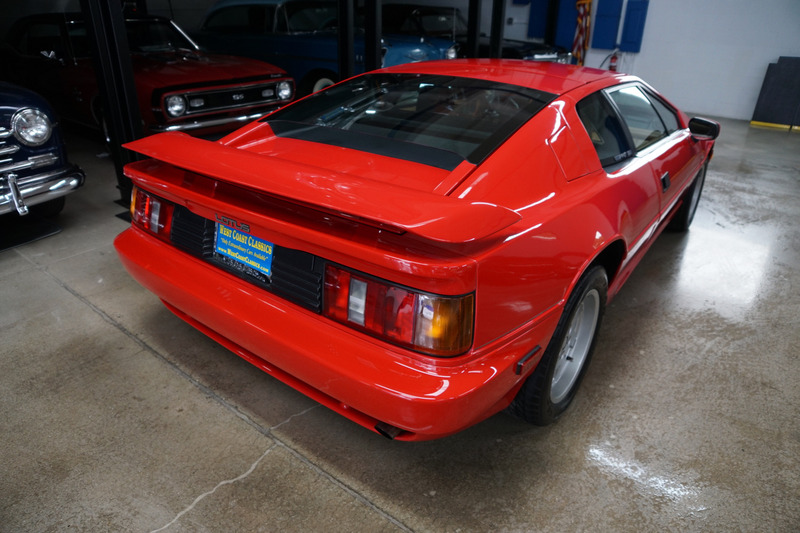 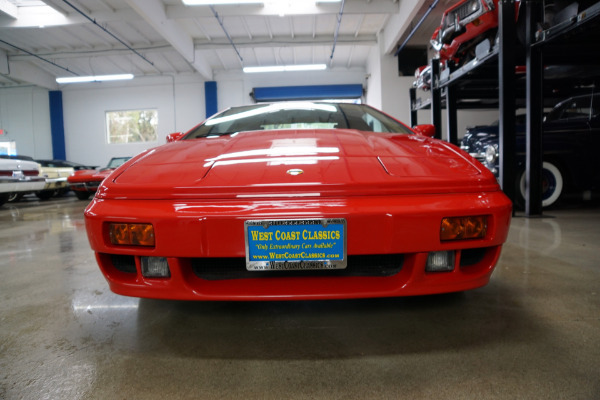 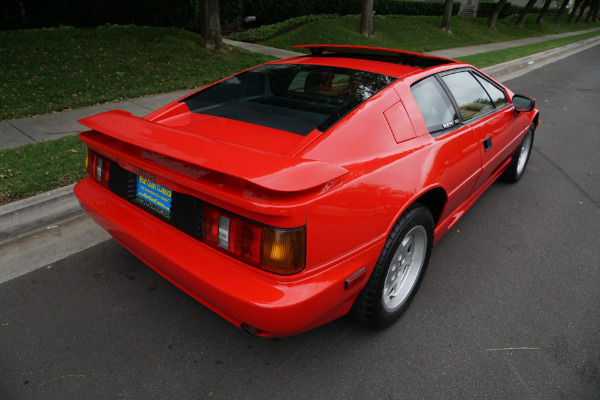 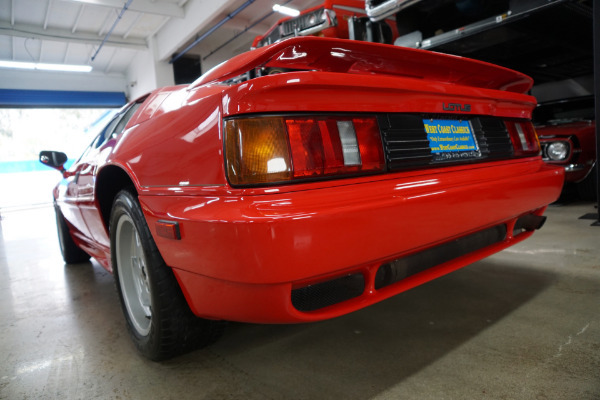 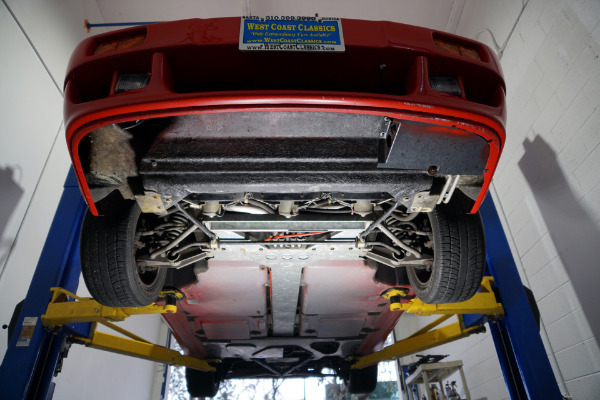 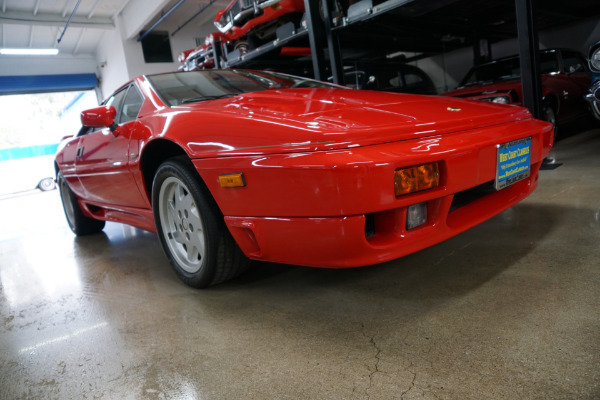 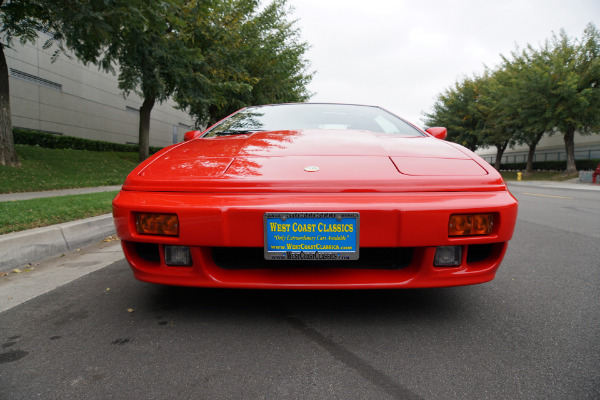 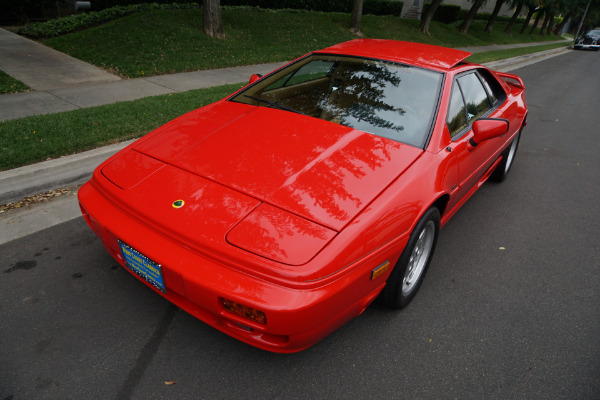 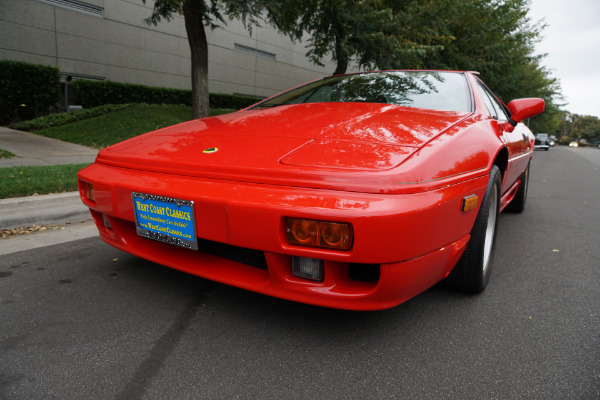 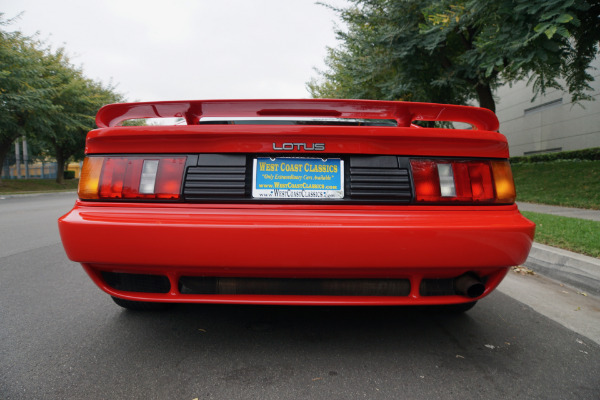 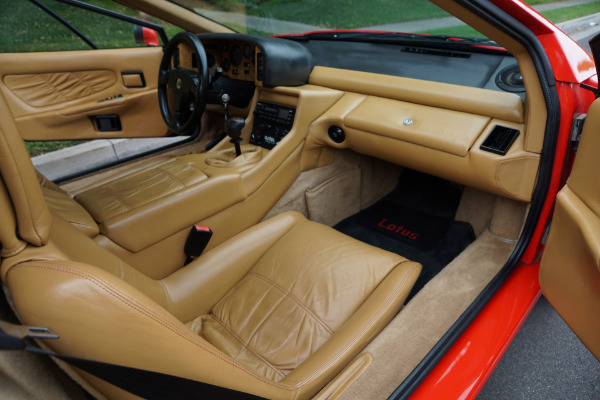 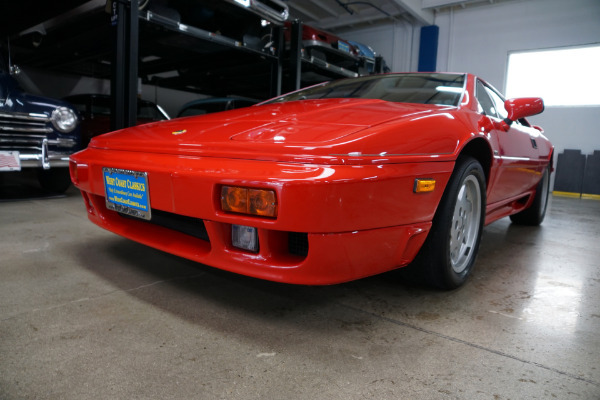 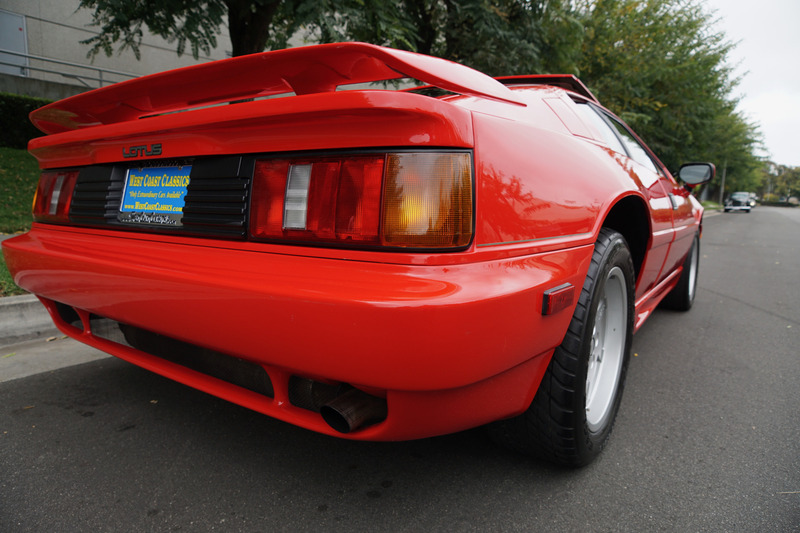 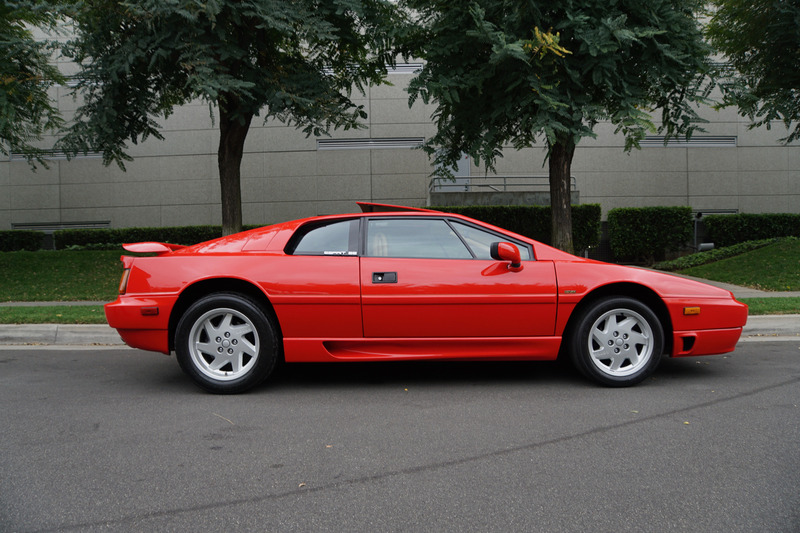 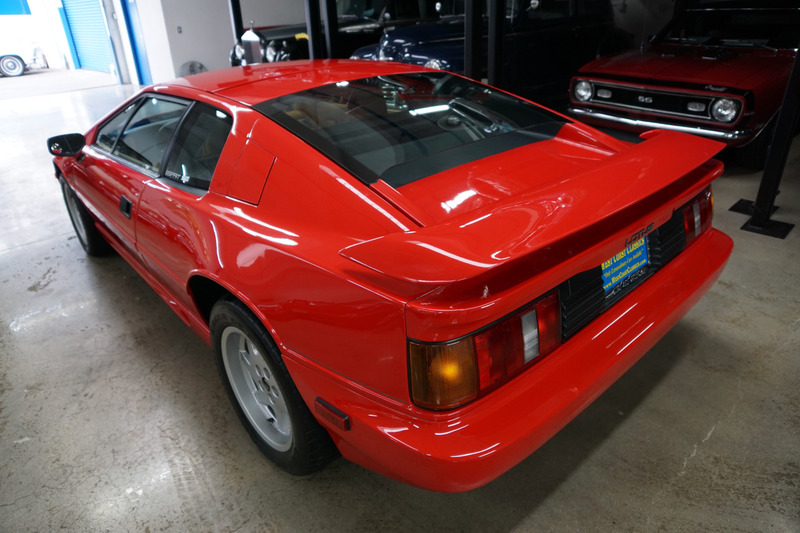 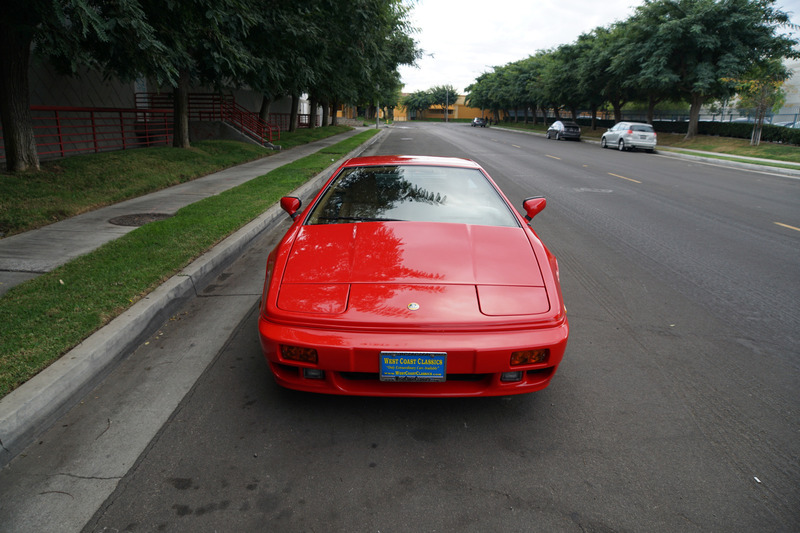 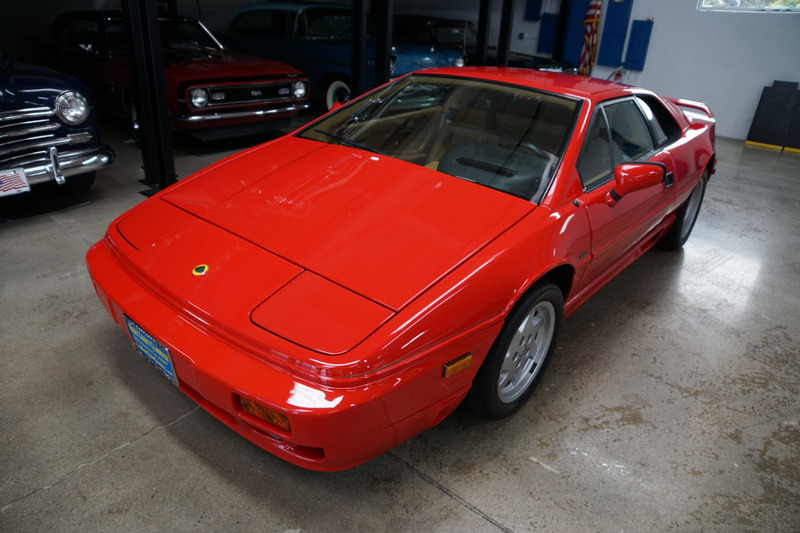 West Coast Classics are proud to present an absolutely exceptional condition example of this 1989 Lotus Espirit SE Turbo 5spd Coupe in the beautiful and highly desirable color combination of original factory 'Calypso Red' exterior paint with a tan leather seats interior with only 17K original miles! 1 of only 1,608 built between it's 1987-93 production run. 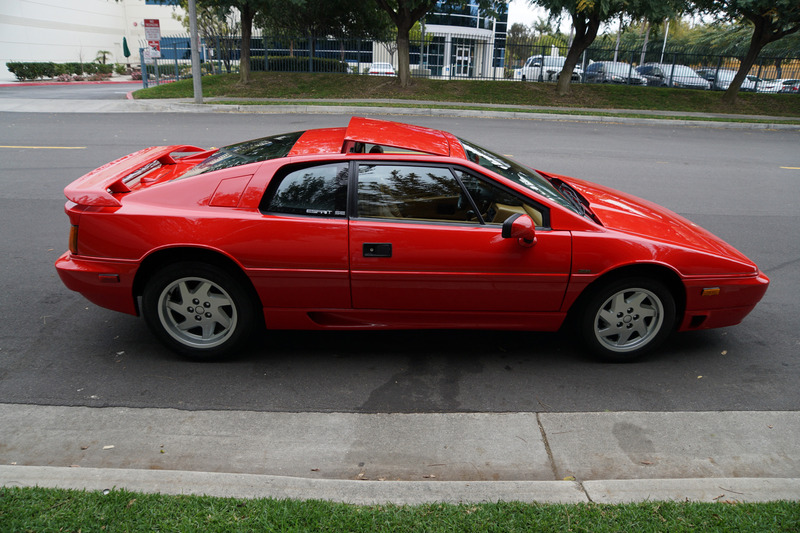 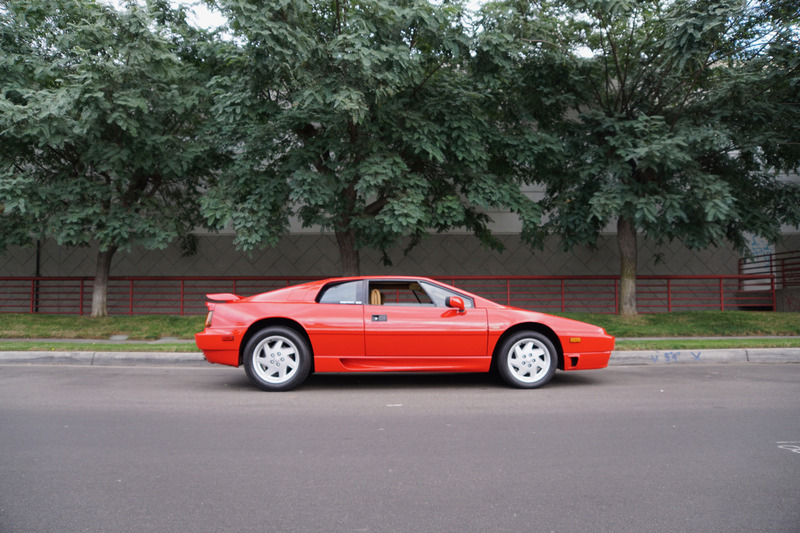 The Lotus Esprit is a sports car that was built by Lotus Cars at their Hethel factory in the United Kingdom between 1976 and 2004. 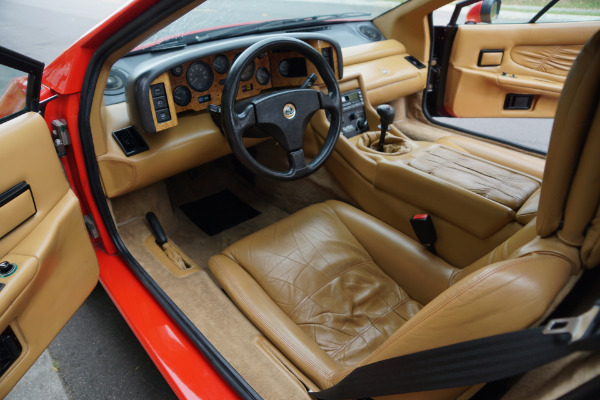 It was to be the exciting final legacy of the late Colin Chapman and began life as a show car in Giorgetto Giugiaro's Italian studio from where it inherited it's classic Italian design. 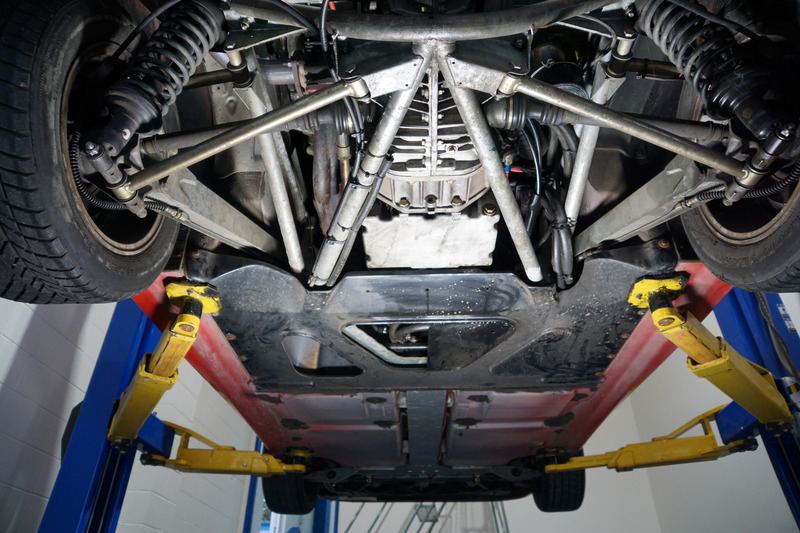 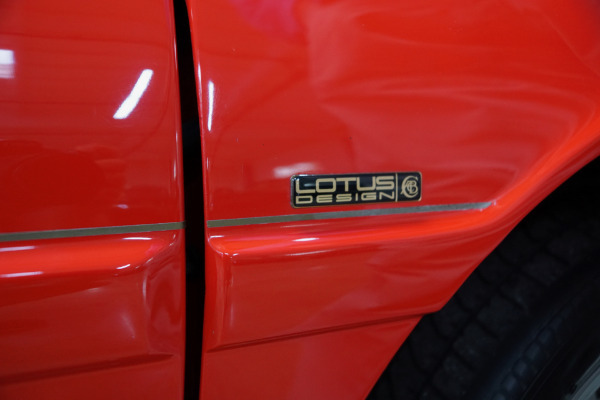 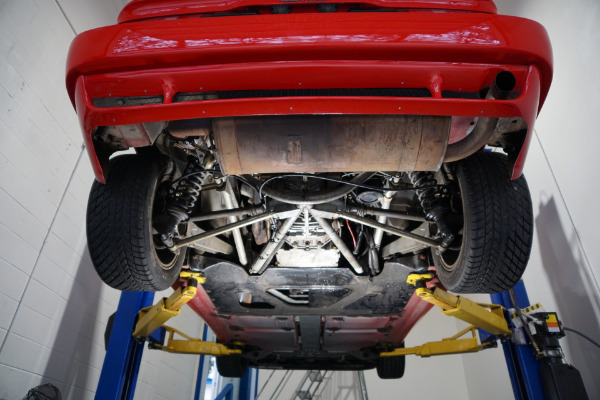 It would retain a Lotus favored 'Backbone' chassis and all independent suspension but with the added advantage of a fiberglass body with an impregnated color achieved by a closely guarded Lotus process. The first versions suffered from marginal cooling and chassis mounted road noise but these issues were addressed by 1980's new Turbo Espirit with a blown 2.2L engine, stronger chassis, modified rear suspension, better brakes, larger wheels, a deep front airdam and 'aero' rocker panels. Results were 150 mph all out and even tighter handling and high speed agility. 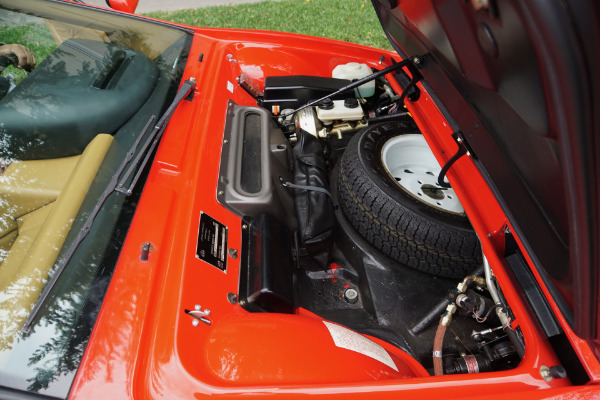 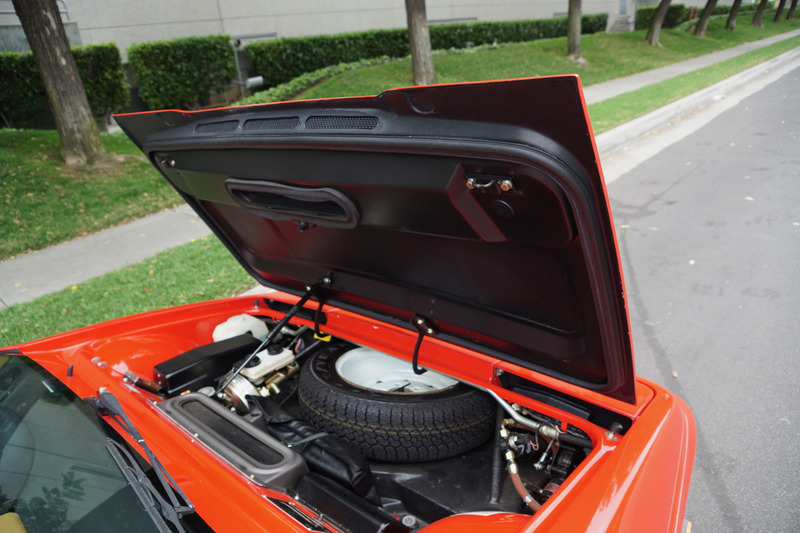 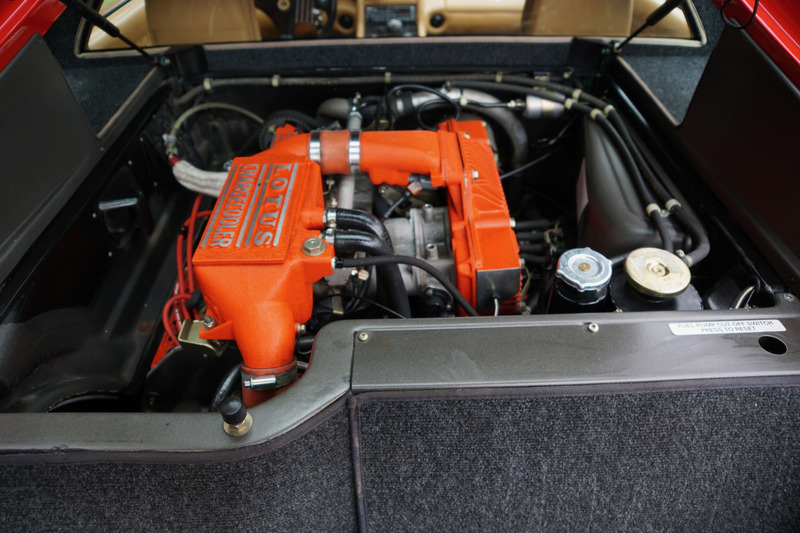 The turbo switched from carburetors to Bosch fuel injection in 1987. 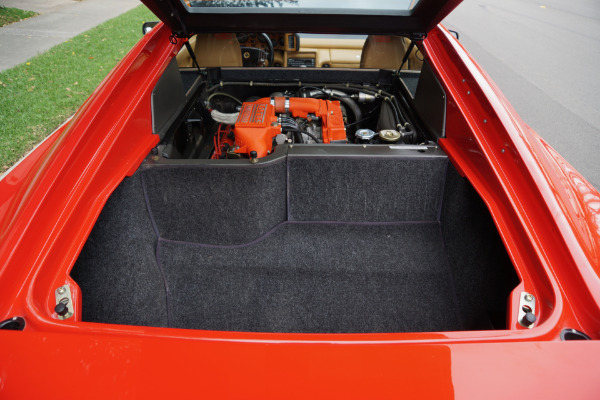 The following year brought new more rounded body panels plus updated interiors and other improvements. 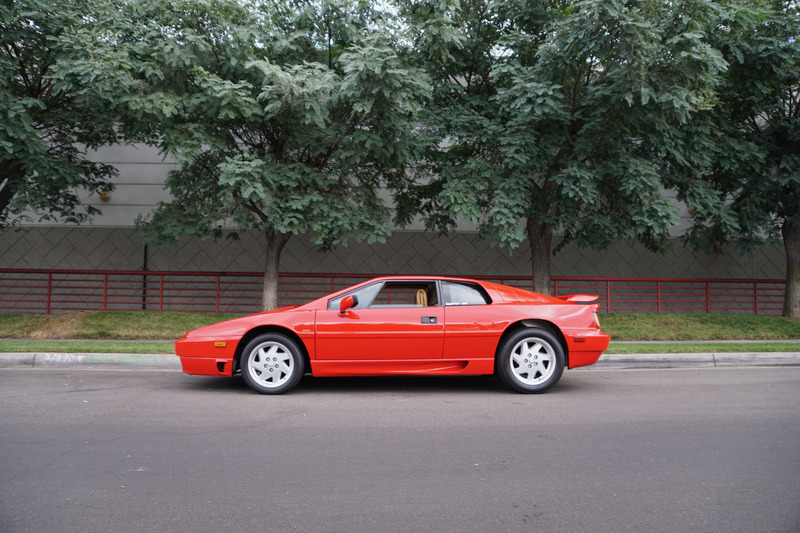 All model years were to be of very low production whilst remaining one of the longest production run supercars ever built. 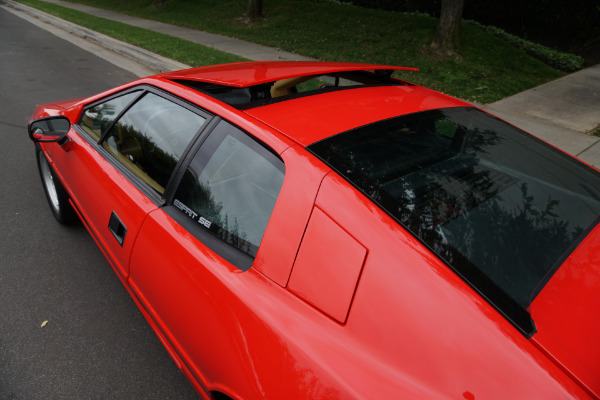 In 1987, the Esprit was restyled by British designer Peter Stevens. Stevens, who would later go on to design the McLaren F1, produced a less angular, more rounded Esprit which would be in keeping with the new era and just two years later in 1989 the next upgrade came in the form of the 2.2 turbo with a 'Chargecooler' system. 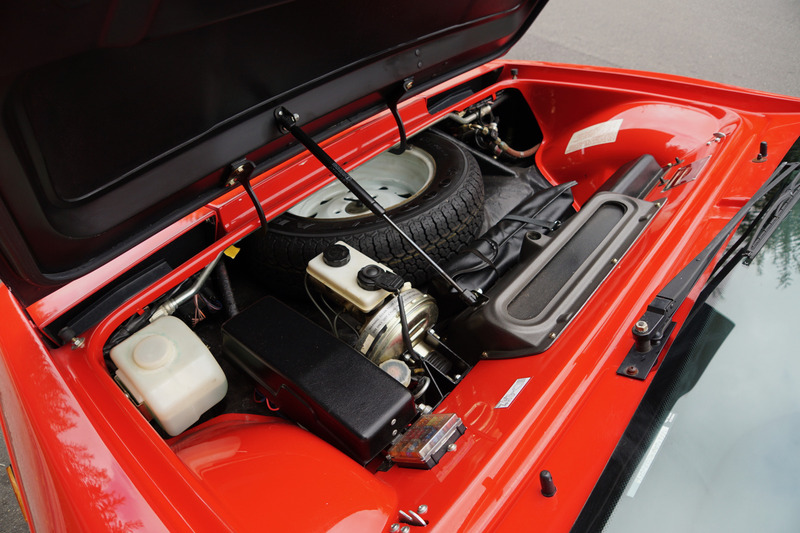 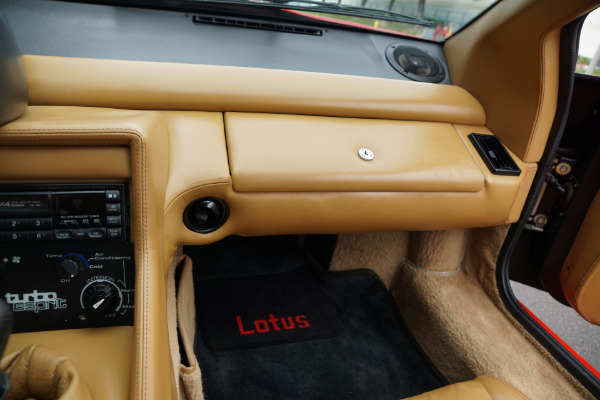 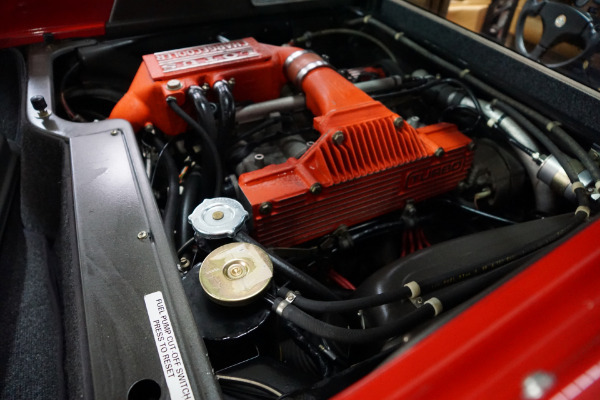 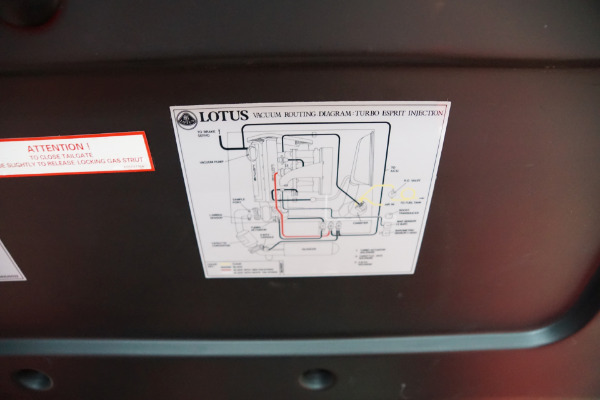 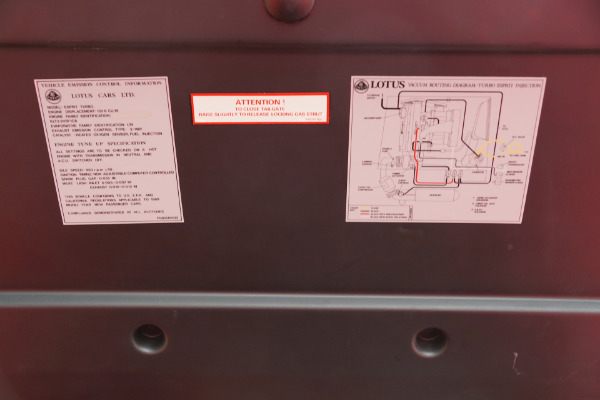 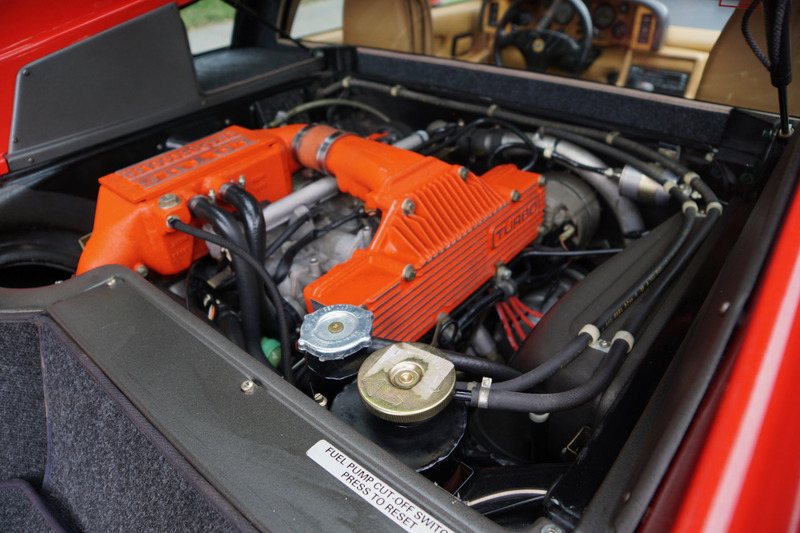 Lotus got rid of the Bosch K-Jetronic and replaced it with a Delco developed multi point injection system which would produce even more power from the 4 cylinder engine matched to a Lotus air-water-air intercooler called a 'Chargecooler'. 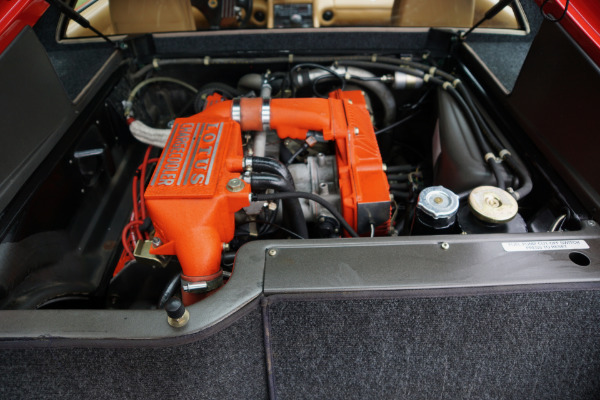 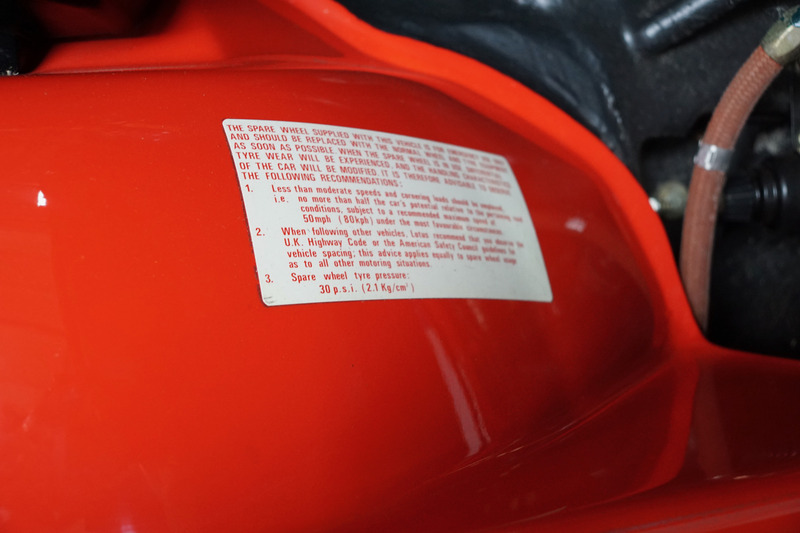 This revised engine was known as the Type 910S. 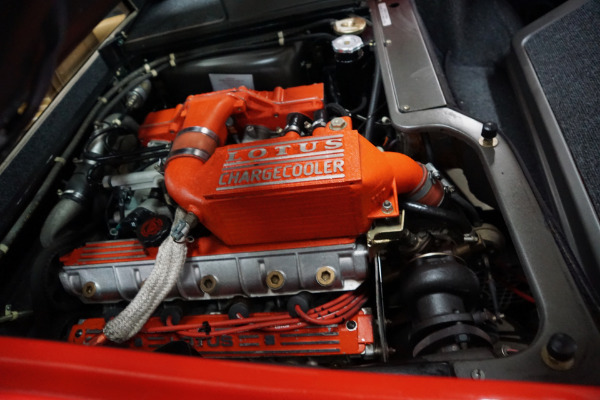 The result was over 264HP as standard with over 280HP available on overboost. 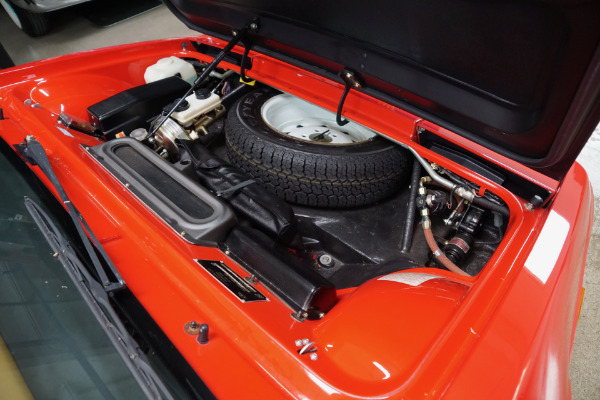 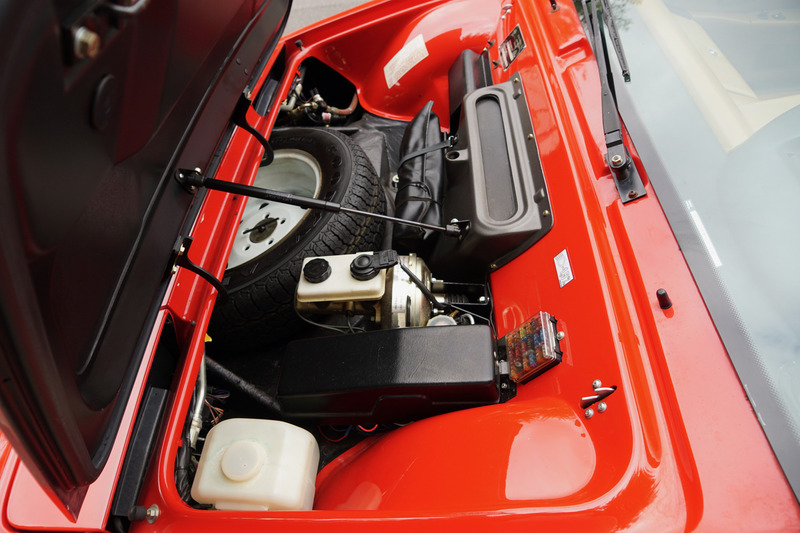 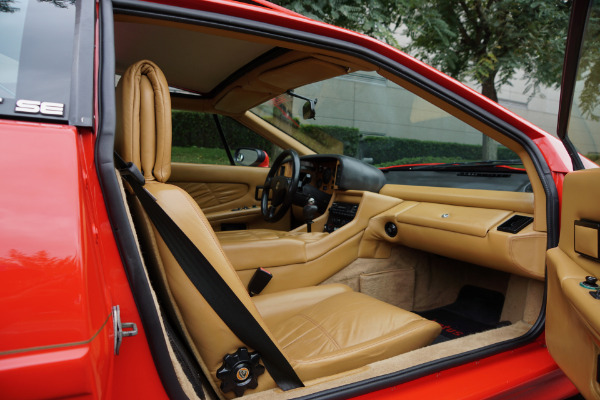 The 910S engine went into the new Special Equipment (SE) model, which also received changes to the body, with side skirts parallel to the body, five air ducts in the front air dam, wing mirrors from the Citroen CX and the addition of a rear wing. 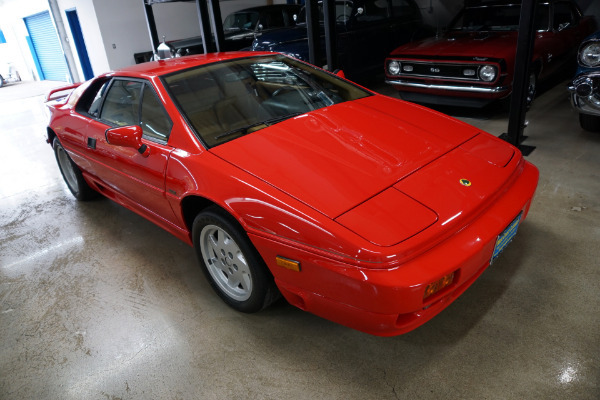 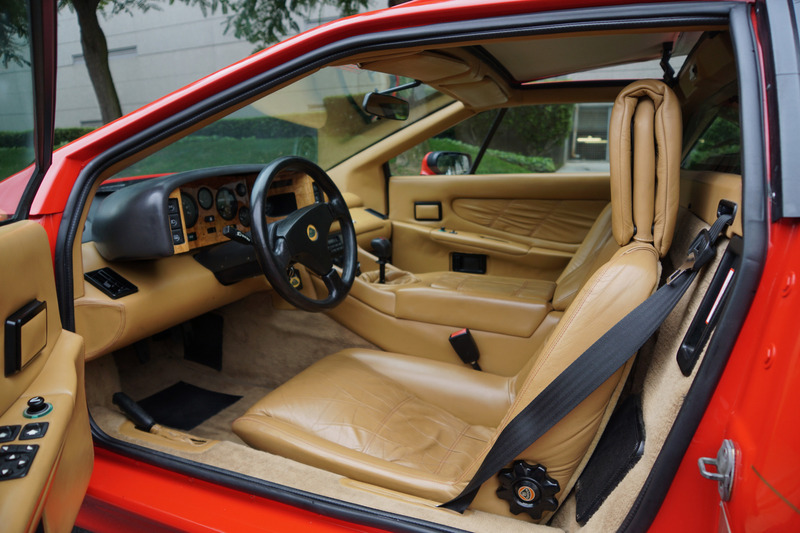 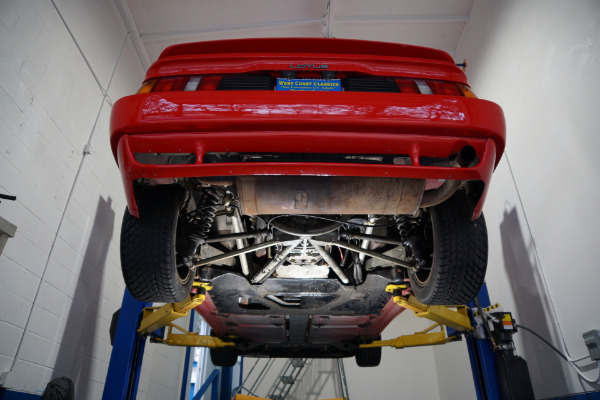 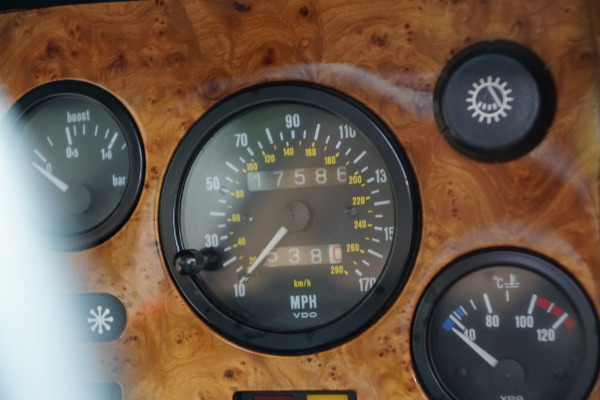 With it's stiffer springs, the 1989 Espirit Turbo SE (Special Equipment) was the fastest road going Lotus ever, even faster than its contemporary the V12 Ferrari Testarossa, reaching 60 mph in just 4.5 seconds and a top speed of over 160 mph. The fiberglass wedge body with combined supercar exterior changes were accompanied by a redesign of the interior that gave more space to the occupants. 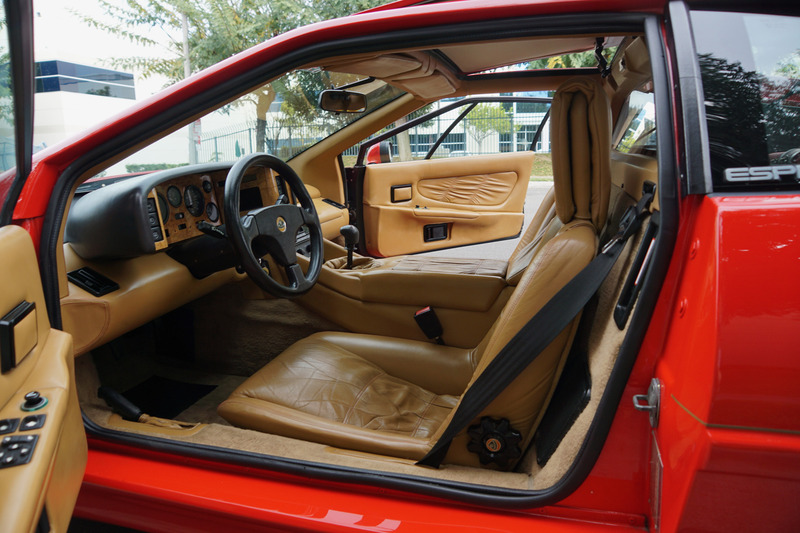 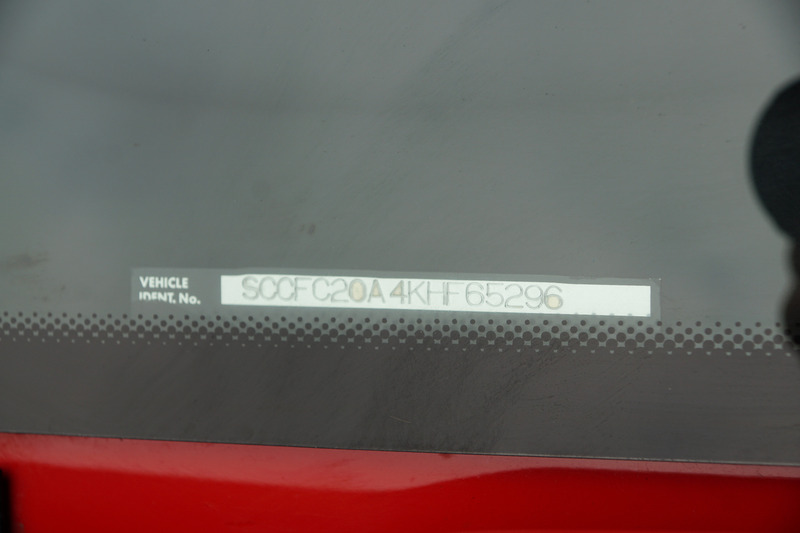 The revised Esprit was not given a new 'Series' number but is often called by its project code of X180. 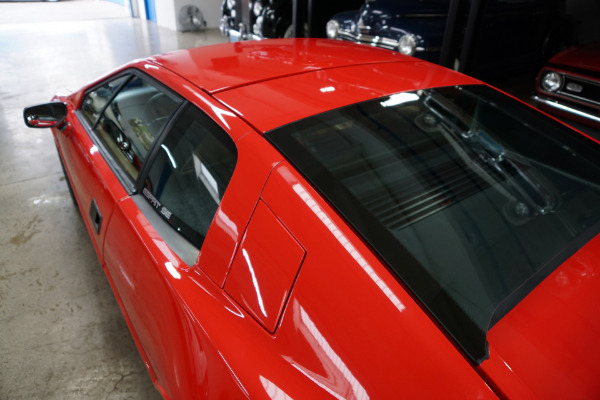 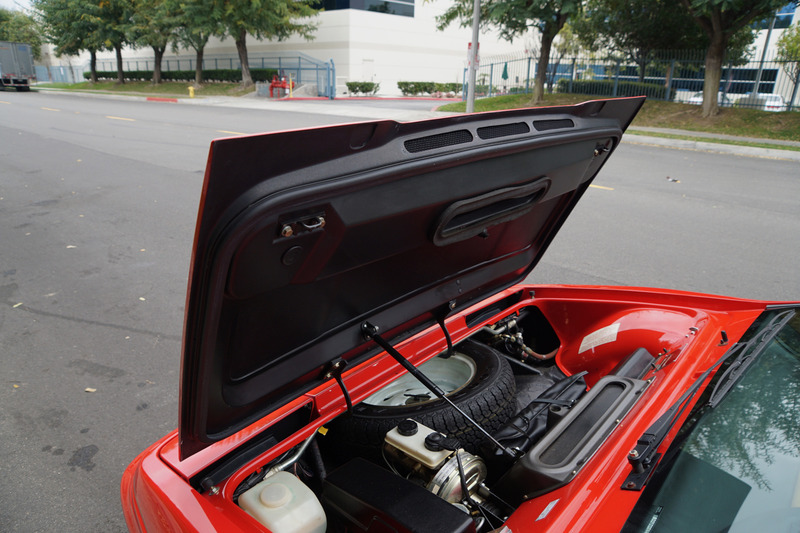 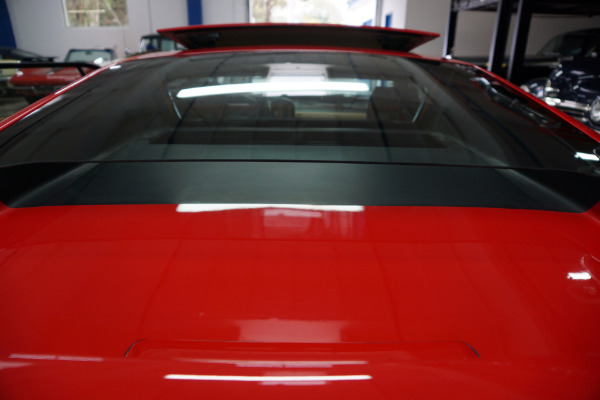 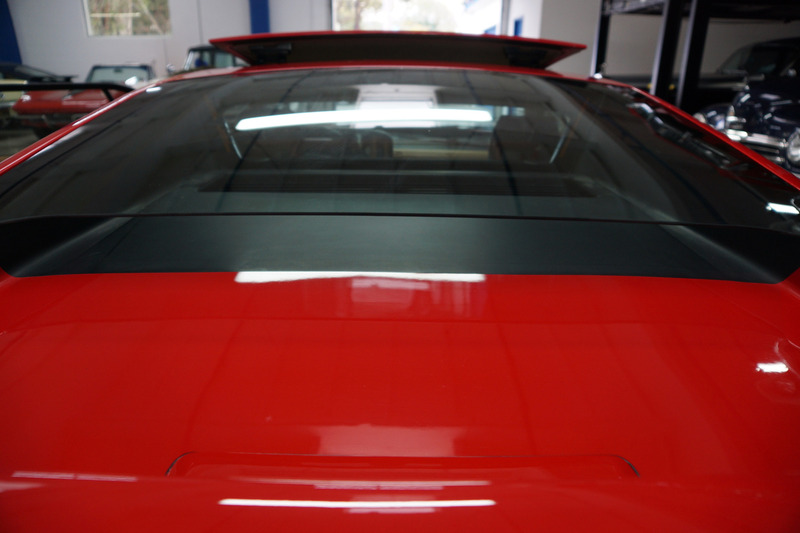 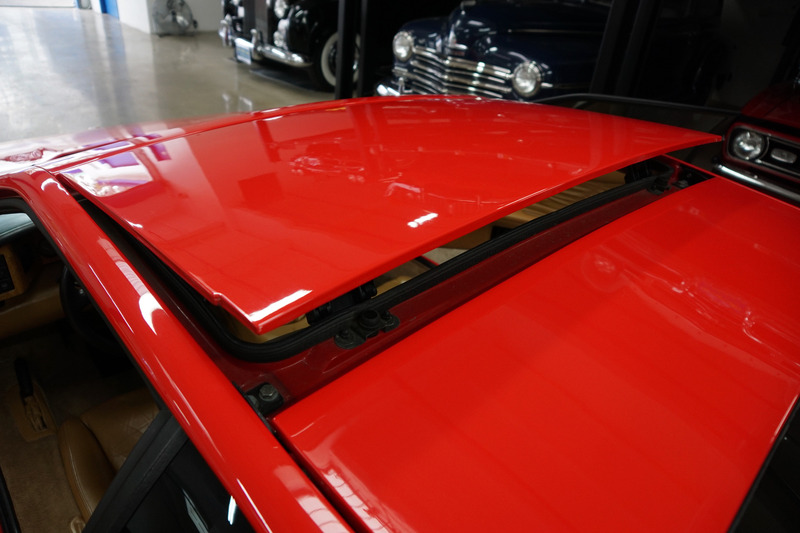 Panels for the body were produced using a new process called VARI (Vacuum Assisted Resin Injection). This method, which was patented by Lotus, offered advantages over the previous hand lay-up process. 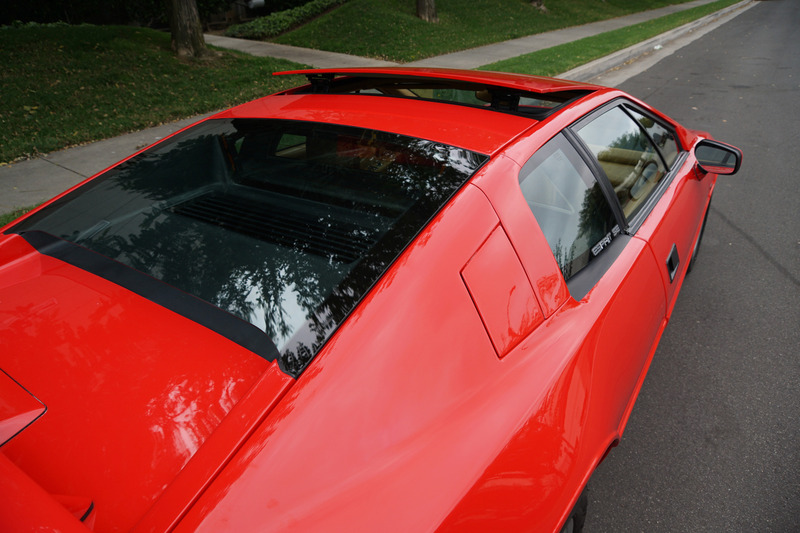 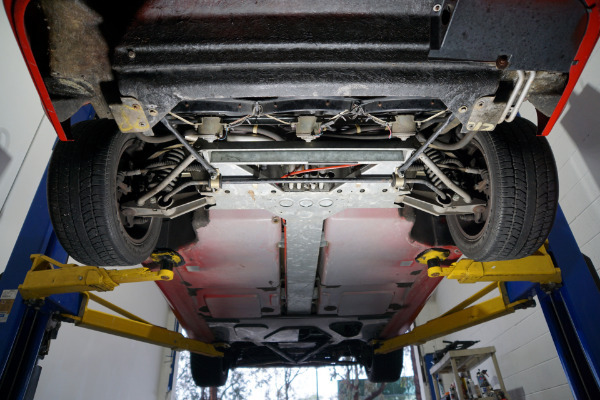 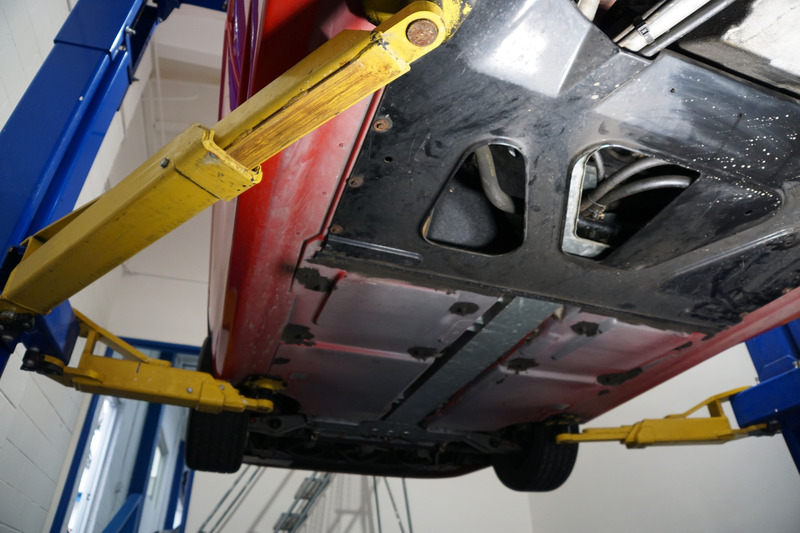 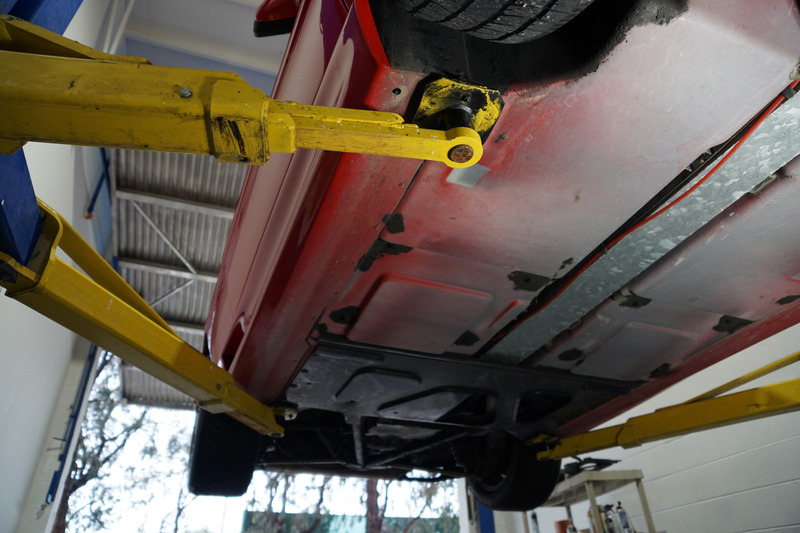 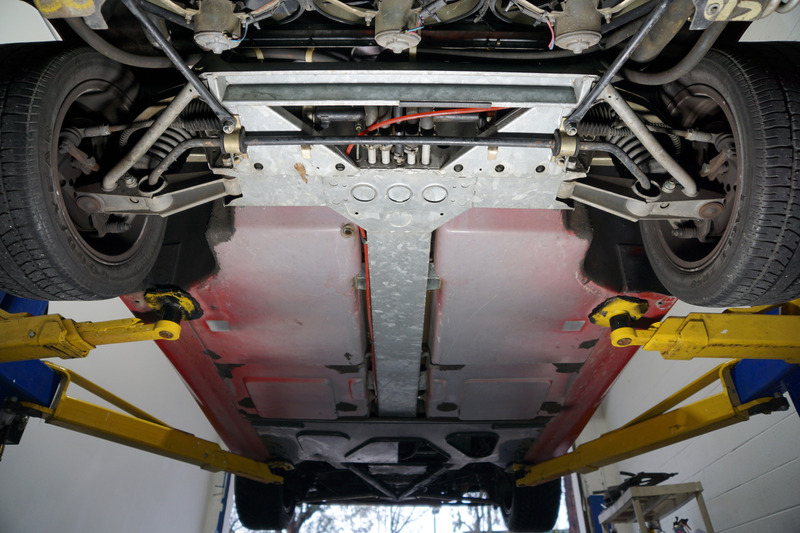 Kevlar reinforcement was added to the roof and sides for roll-over protection. 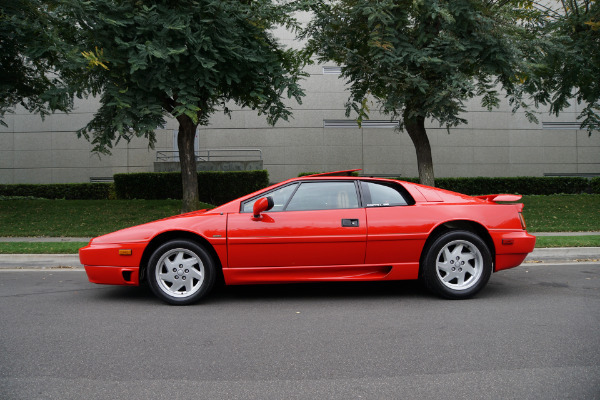 This also increased the Esprit's torsional rigidity. 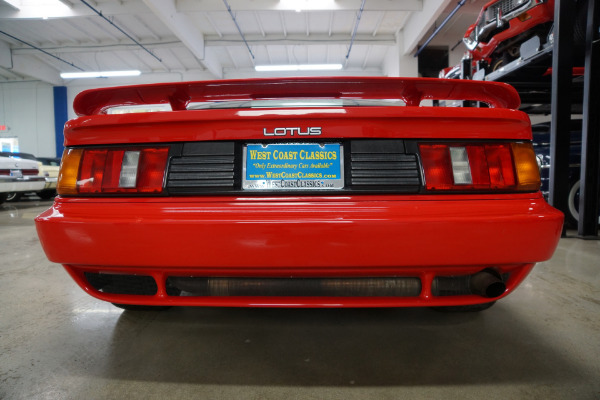 This particular example with only 17K original miles is therefore a very rare and collectible Lotus Espirit Special Equipment Turbo; 1 of only 1,608 total Espirit SE Turbo Coupes built during its 1987-93 production run and a car which was recently inspected prior to sale at the renown Lotus dealership and specialists 'San Diego European Motorcars' of San Diego, CA! 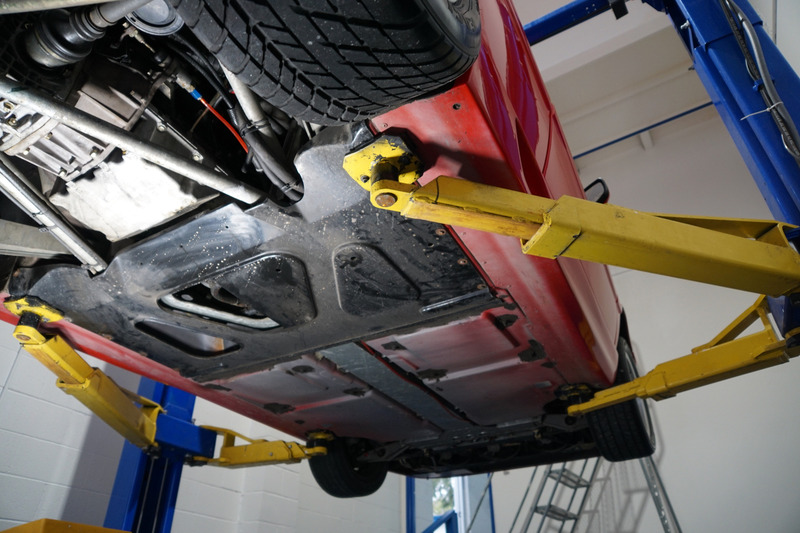 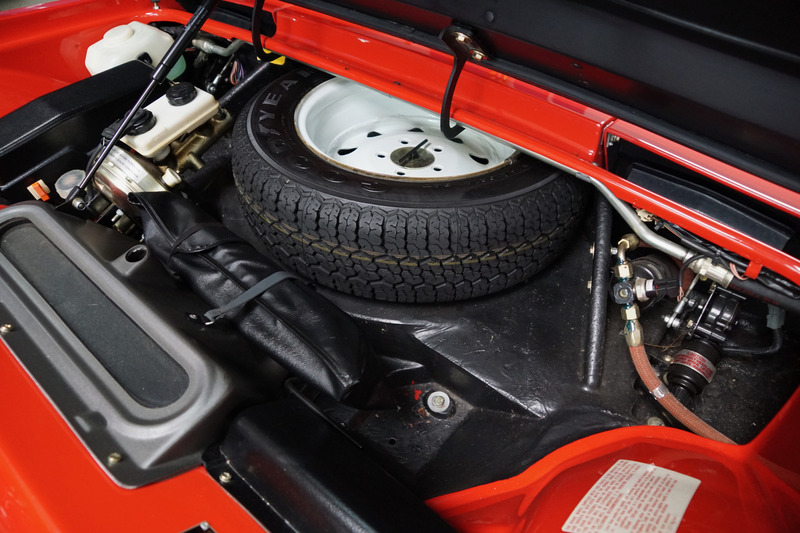 The car was obviously always a non-smoking owners car from new which has obviously always been well maintained and the car will be sold with its original factory tools, spare wheel and jack. 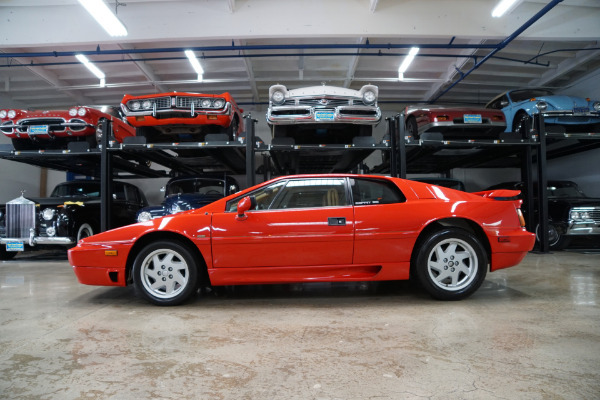 Driven obviously only sparingly and always garaged with absolutely no accidents and no rust whatsoever and owned by only obviously very careful and owner/driver's since new - never raced or abused. 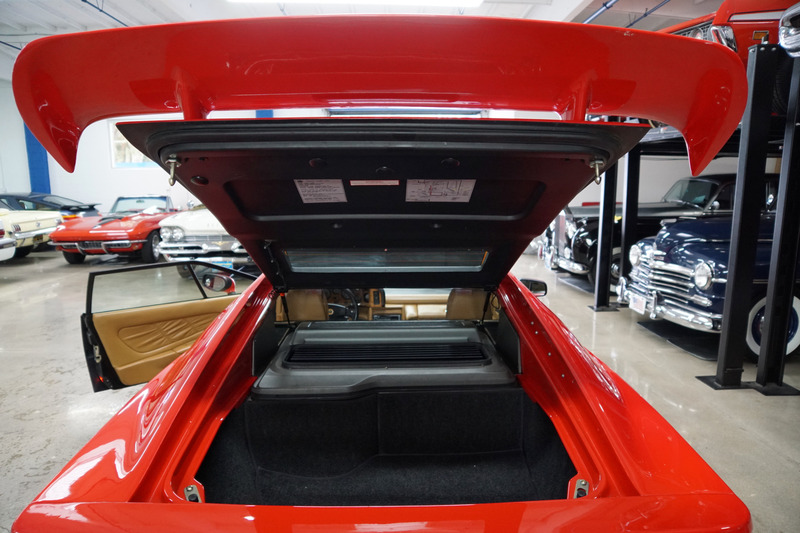 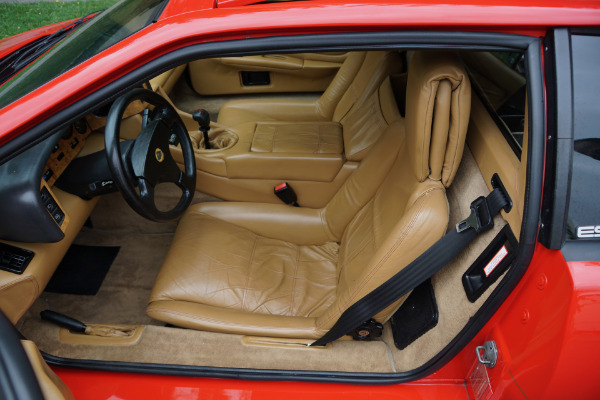 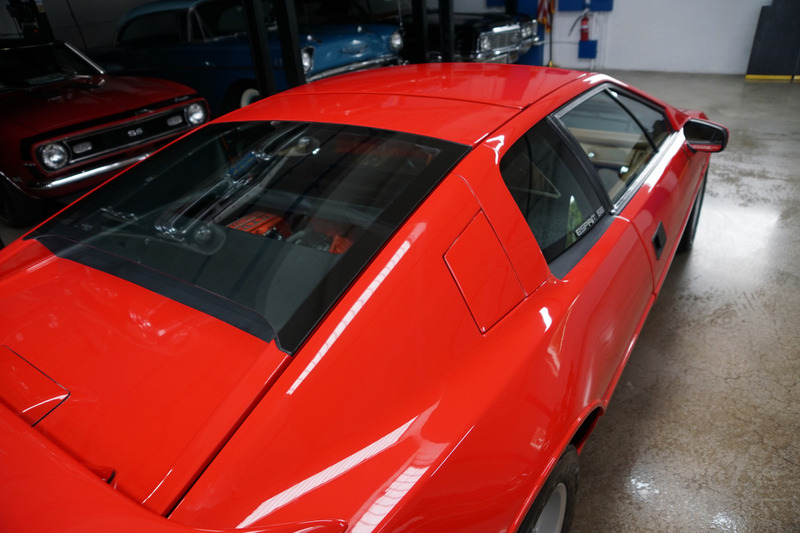 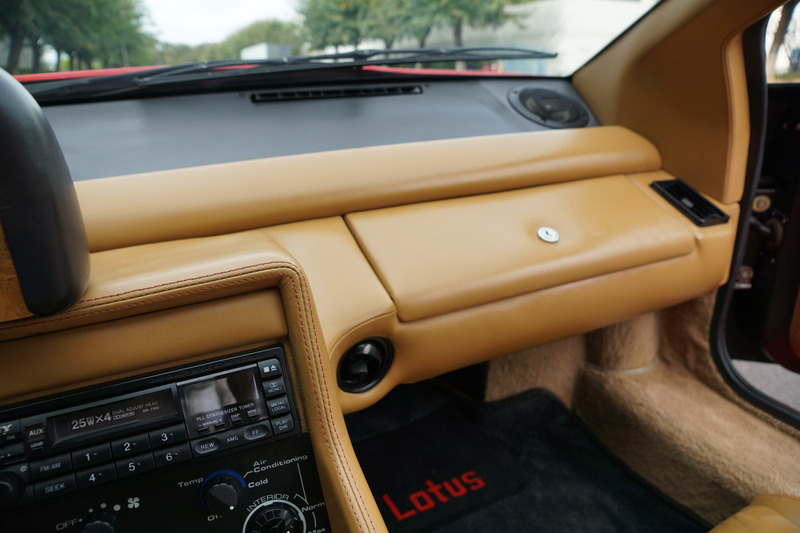 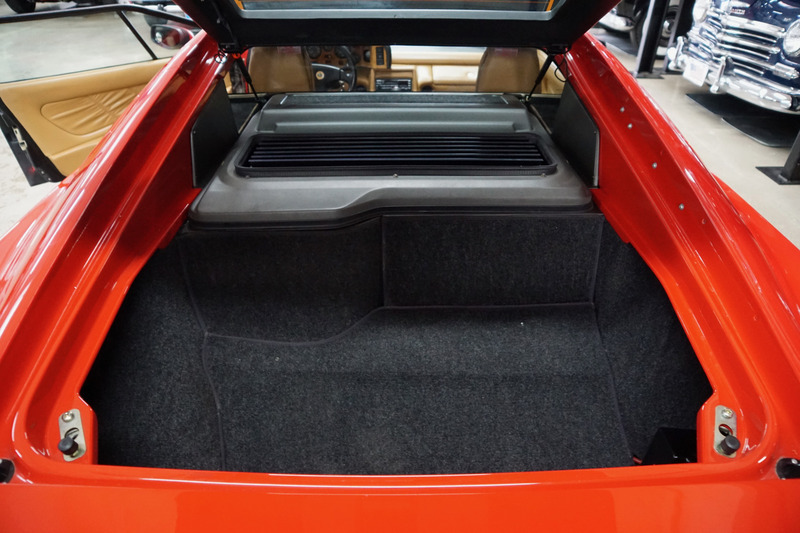 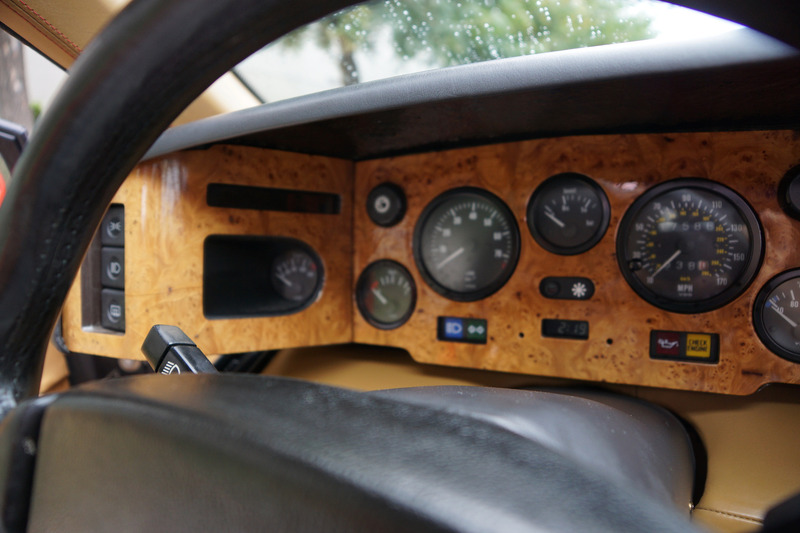 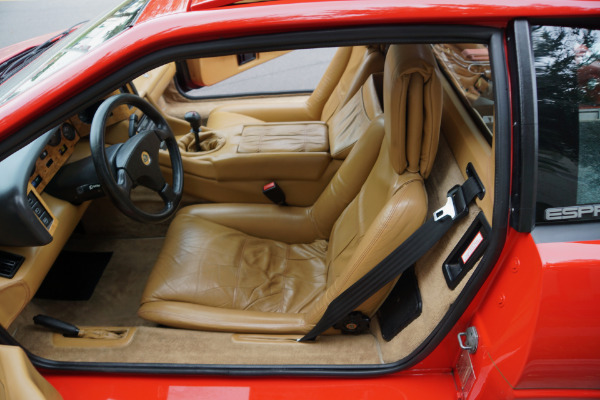 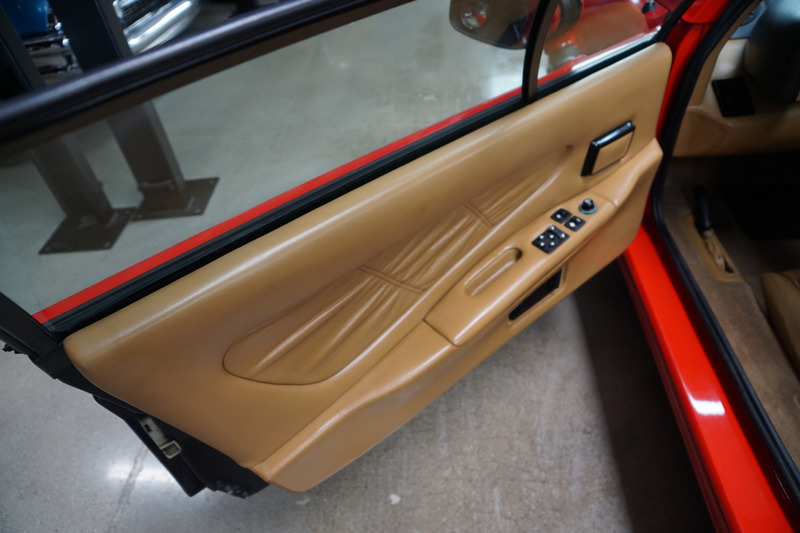 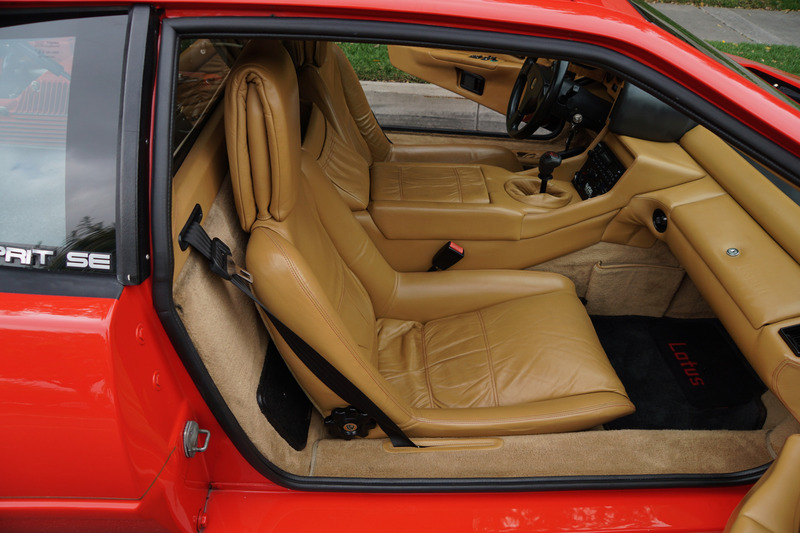 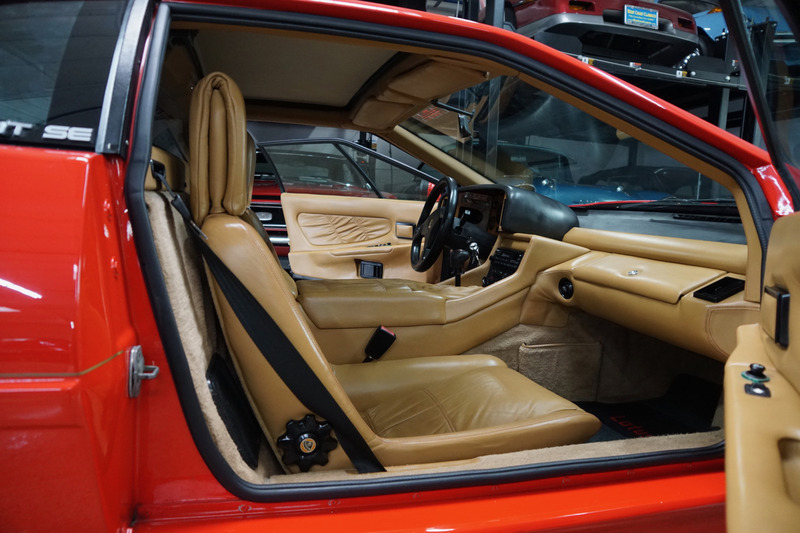 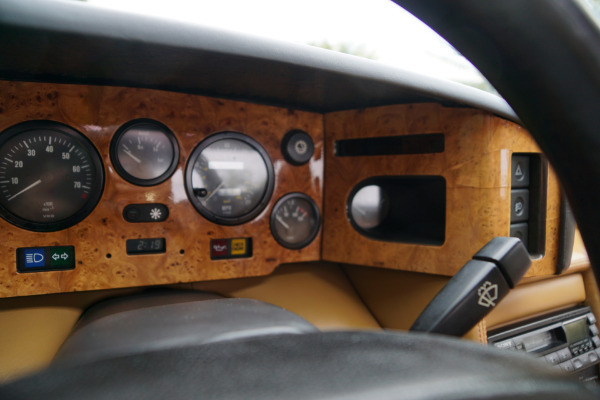 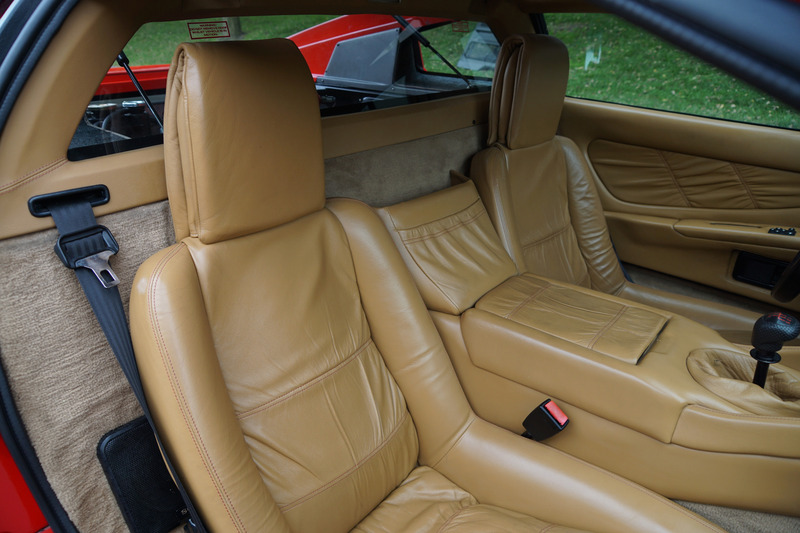 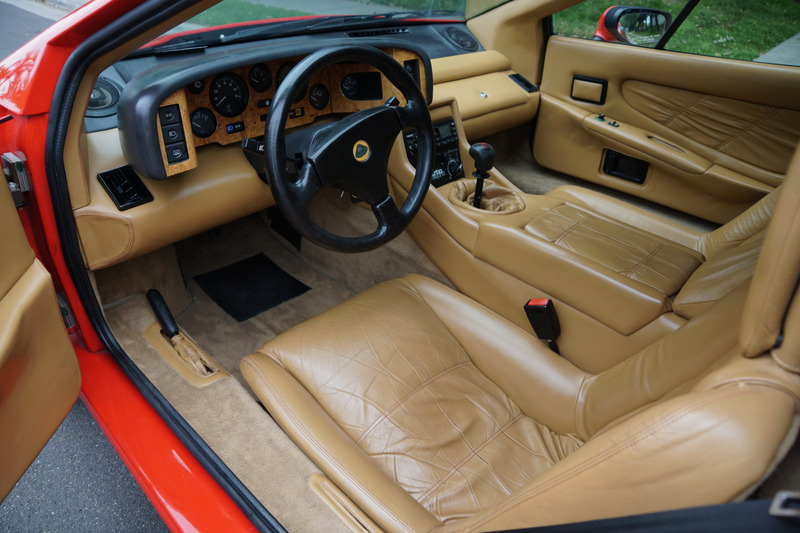 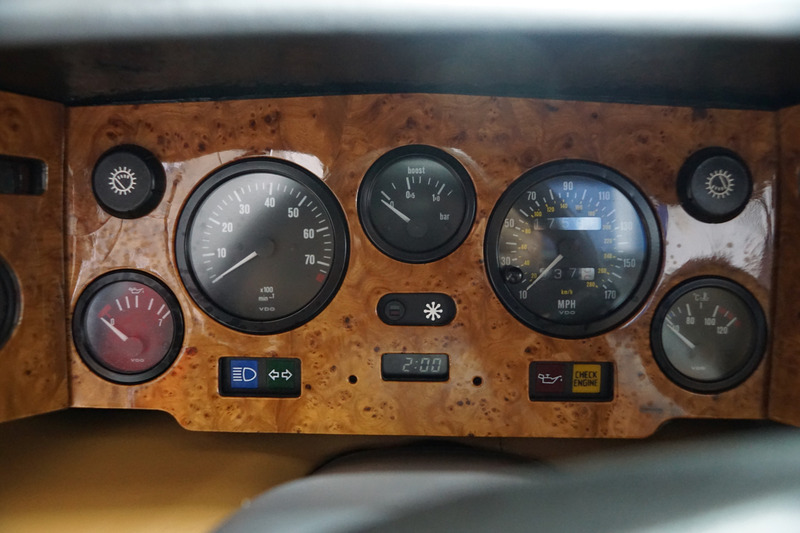 The original factory 'Calypso Red' color paint is in absolutely beautiful condition and the tan leather interior with its Lotus leather skins is also in beautiful condition with virtually no signs of any wear apart from some very small imperfections in the wood veneers. 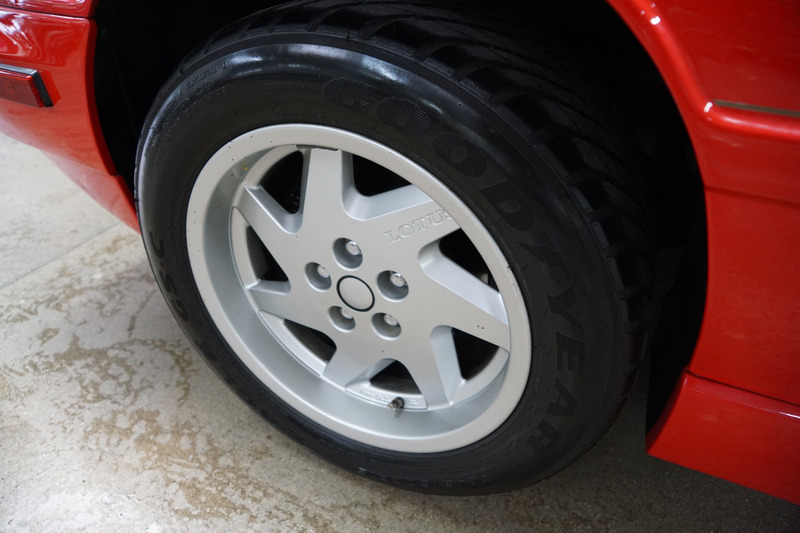 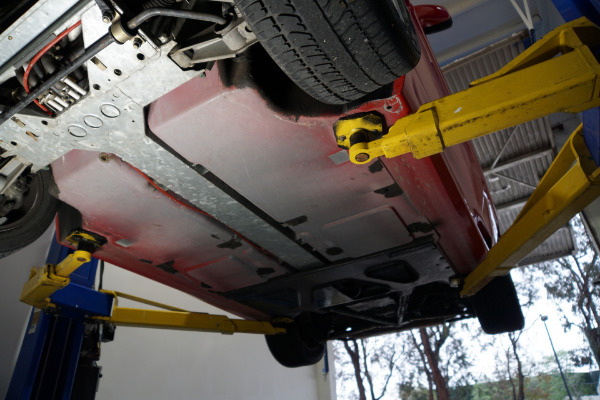 The cars original wheels are uncurbed and unblemished and the original spare has not ever been used. 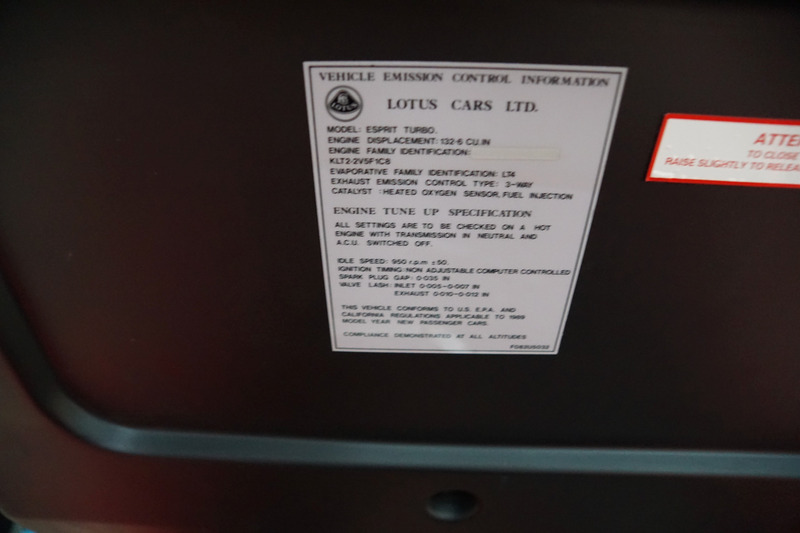 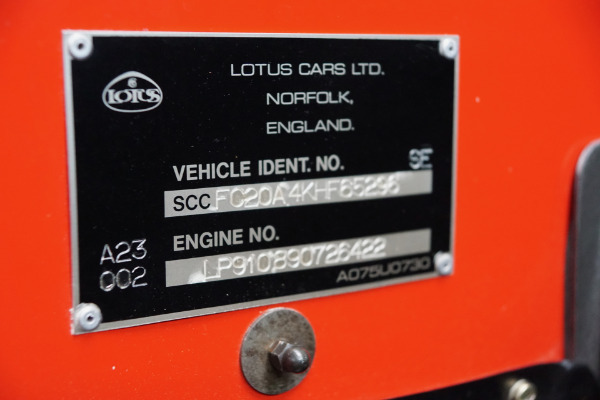 This particular example with only some 17,590 original miles drives exactly like such a well maintained and serviced ultra low mileage Lotus should and must be driven to be fully appreciated and seen to be believed! 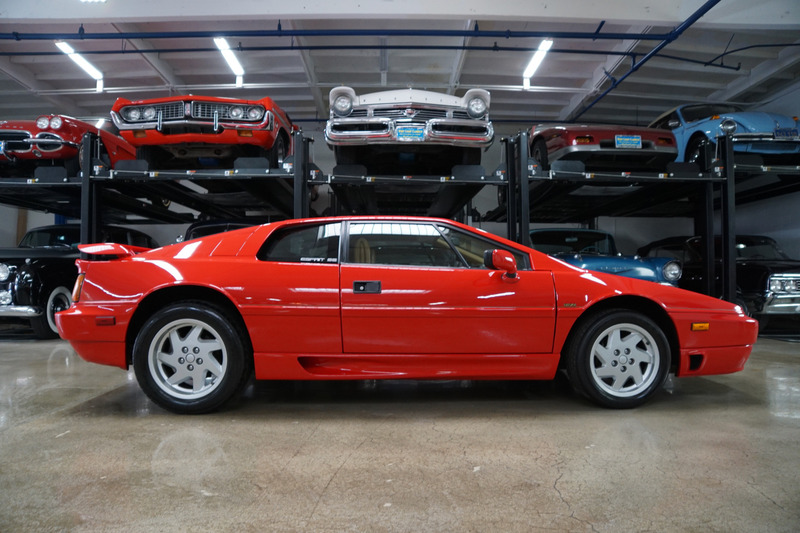 You will surely look long and hard to find a finer or lower mileage example of this exceptionally clean and increasingly collectible supercar.